The night of the Earthquake in Kobe 1995, the narrator of the video said she fell asleep next to her sister like she had every night for the last 15 years. She woke up to rumbling in the wee hours of the morning and furniture crashing around the room. Her sister was trapped under debris of their house. When she heard the rescuers searching for them, her sister told her to go first. She managed to get out before the building collapsed completely. She never saw her sister again. The teenager is now a woman and not surprisingly still traumatized by the events of that morning of January 1995 and the Kobe Earthquake in Japan. Her story is one of many told at the Kobe Earthquake Museum. 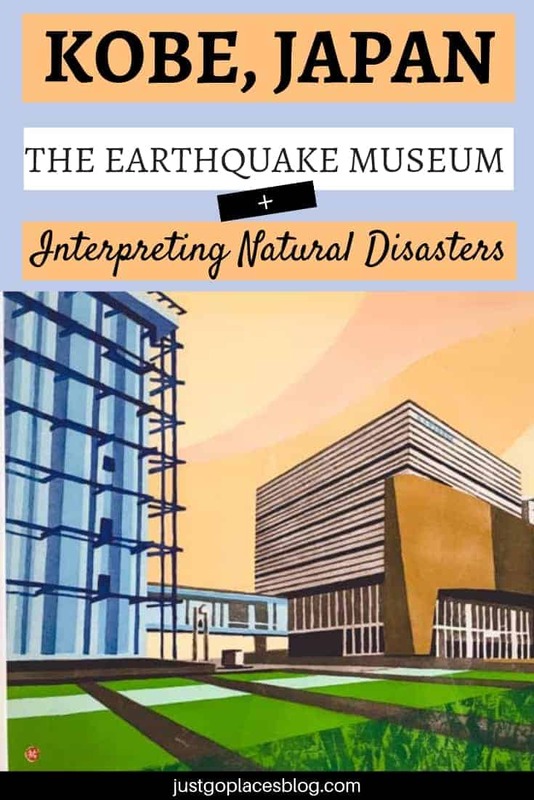 This well planned earthquake museum also explores the causes of the Kobe Earthquake, the effects of the Kobe Earthquake, the responses to the Kobe Earthquake as well as staggering facts about the Kobe Earthquake and its enormity. 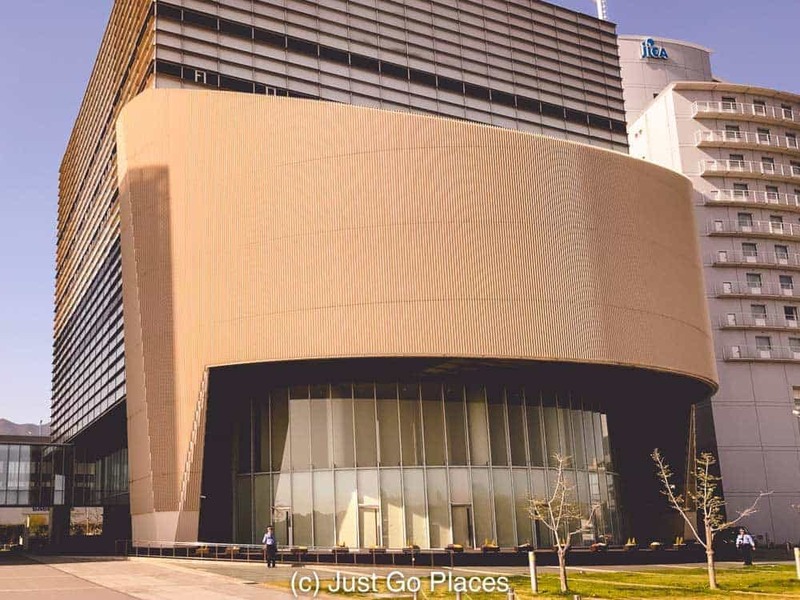 The great Hanshin-Awaji Earthquake Memorial Disaster Reduction and Human Renovation Institution is quite the name for the Kobe Earthquake Museum. The spiffy modern earthquake museum Kobe has erected commemorates the tragedy of a short and brutal earthquake. An artist rendering of the Earthquake Museum Kobe has erected to commemorate the 1995 Kobe Japan Earthquake. The Kobe Earthquake Memorial Museum comprises of two buildings connected by a walkway. After you buy tickets you are told to go to the top floor of the opposite building and work your way down. Clearly my kids have been in Japan too long because they are walking dutifully along the straight line leading to the entrance of the Kobe Earthquake Museum! 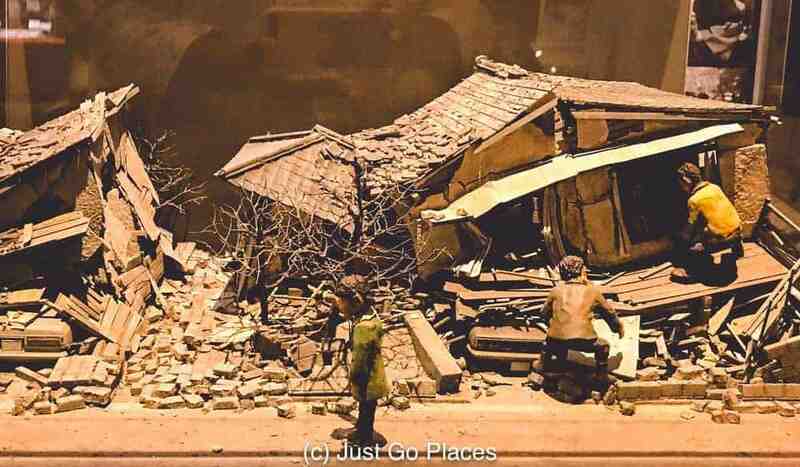 Among the best exhibits is an interactive video of an earthquake simulation similar to the 1995 Earthquake in Kobe Japan (complete with English translation). You also walk through a Kobe street that showed how the 1995 Kobe Eartquake affected it. Then there was a video of the Kobe Earthquake with grainy CCTV footage. You got headphones that translated everything to English The actual footage being CCTV footage brings real immediacy to what you see. What you see are actual houses crumpling, bridges falling and trains crashing – the effects of the Kobe earthquake as it was happening. A diorama showing the effects of the Kobe Earthquake on ordinary houses which crumpled like paper. The most sobering realisation about watching the Kobe Earthquake 1995 damage? You can’t comfort yourself that the footage isn’t real because it was produced through Hollywood magic. a family who survived with the only damage to their home being a set of broken golf clubs. Overall we thought the message of the Kobe Earthquake Museum was uplifting. This disaster happened but the 6000 people who perished in the Kobe Earthquake in Japan will not be forgotten or have died in vain. A listing of the Kobe Earthquake facts show the severity of the catastrophe. The Great Hanshin Earthquake was short and catastrophic. Over 100,000 buildings collapsed during the Kobe Earthquake. In the Kobe Earthquake 1995, 27,000+ people were injured. Although lasting only 20 seconds, the Kobe Earthquake magnitude registered 7.2 on the Richter scale. There were 35,000 people pulled out by rescuers from damaged buildings. The 1995 Kobe Earthquake caused $132 billion worth of damage. A diorama of a refugee center for the survivors fo the Kobe earthquake in Japan. There were 300,000 survivors who had to be rehoused temporarily thanks to all the Kobe Earthquake 1995 damage. One of the primary effects of the Kobe Earthquake for the survivors was coping with utility services being cut off. After the Kobe Earthquake responses focussed on rehousing people. There were 1153 centers created to house the thousands of refugees who were left homeless after the Kobe Earthquake in Japan. Many of the refugee centers were converted from schools. Many of the older refugees just couldn’t cope with the change of routine and inconvenience that resulted from the 1995 Kobe Japan earthquake. For example, we heard the story of a grandmother who refused to eat because the washrooms were unclean in her opinion. The Kobe earthquake responses to the 1995 Kobe Earthquake included encouraging people to get back on their feet. Of course, the Kobe Earthquake cause is natural and out of human hands. Earthquakes in Kobe Japan are a result of Japan’s geographic position near fault lines and moving tectonic plates in the Pacific ocean. On the other hand the Kobe Earthquake effects were magnified by man-made issues. The Kobe Earthquake Museum did not shy away from the fact that the effect of the 1995 Kobe Earthquake were magnified by overpopulation and over-building. There was such a huge loss of life because Kobe is heavily populated. Many of the deceased and displaced were older residents who lived in buildings which did not meet the newer Japanese building codes. These buildings followed the regulations from the 1960’s which experts had already proved were inadequate. 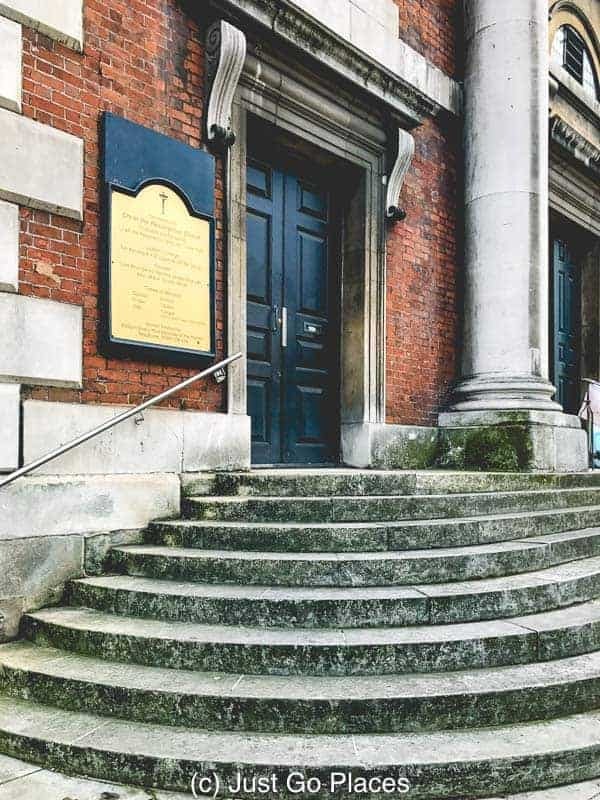 The new rules which came into force in the 1980’s, however, did not apply retroactively to older buildings. 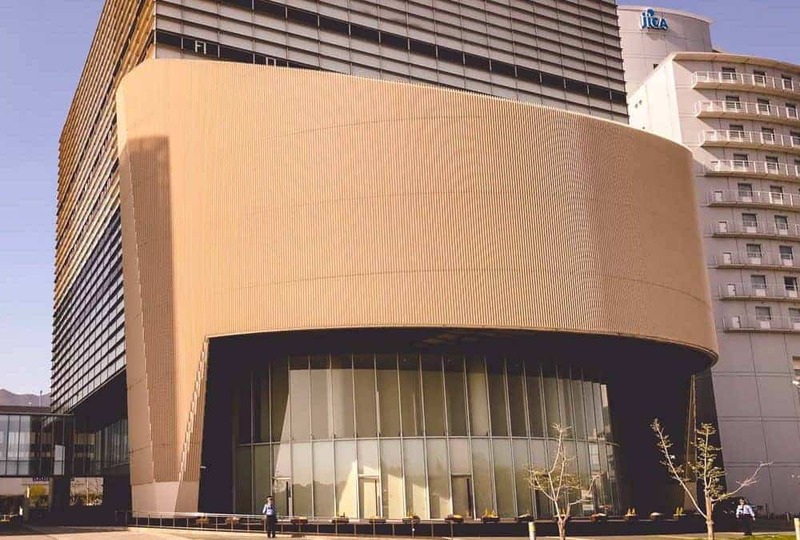 The Kobe Earthquake Memorial Museum is really well laid out and has spacious thought-provoking exhibits about what caused the Kobe earthquake, the effects of the Kobe earthquake on the city and its people and the government’s inadequate responses to the Kobe Earthquake. It’s a beautiful set of modern buildings too. The gleam of the modern facade of the Kobe Earthquake museum. The survivors stories really brings home the impact of what happened during the 1995 earthquake in Kobe Japan. For example hearing a large number of people were impacted by the Kobe earthquake 1995 damage is not the same as being told even one person’s story. It is the individual stories of loss, resilience and hope that you remember. The Kobe Earthquake Memorial Museum was upfront about the issues that plagued the response to the Kobe Earthquake. 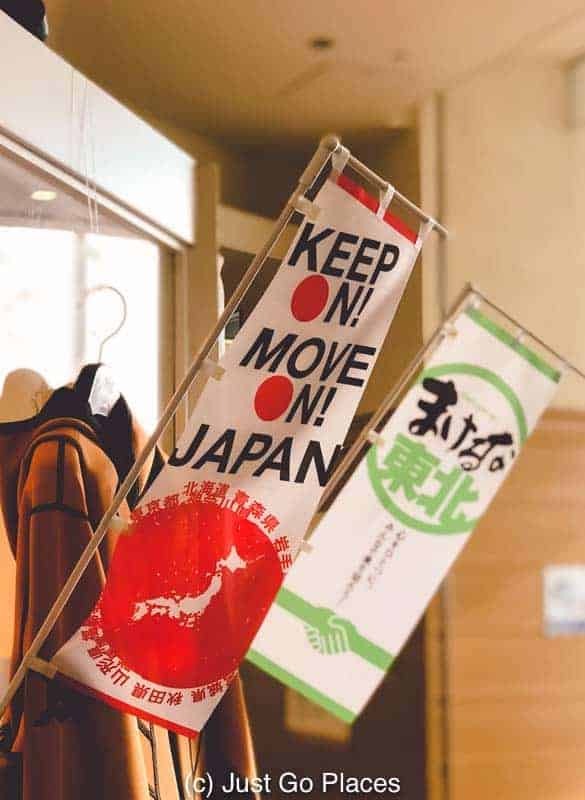 It was widely felt that the Japanese government was slow to react and disorganised. Many people spent extended time in temporary housing waiting for their permanent homes to be built.. There were lots of older people who felt isolated when they were relocated to temporary homes far away from their usual lives. Considering I find the Japanese to be wizards in efficiency (have you used their trains?? ), I was surprised by the grumbling. You heard the grumbling at how terrible the FEMA response was to the Hurricane Katrina disaster in New Orleans but even a country as super organized like Japan can get caught flatfooted in a natural disaster caused emergency. We felt the Kobe Earthquake Museum would have been better if there were more exhibits written in English explaining more of the Kobe 1995 Earthquake facts. There’s a film about the earthquake and tsunami that affected Fukushima in 2011. This film runs every half hour. Although it is another major Japanese natural disaster, this part of the museum feels like an afterthought. The Fukuoka disaster feels disjointed from what the museum is trying to say about the Kobe Earthquake which is the focus of the rest of the museum. The Kobe Earthquake Memorial Park is part of Meriken Park in Kobe. 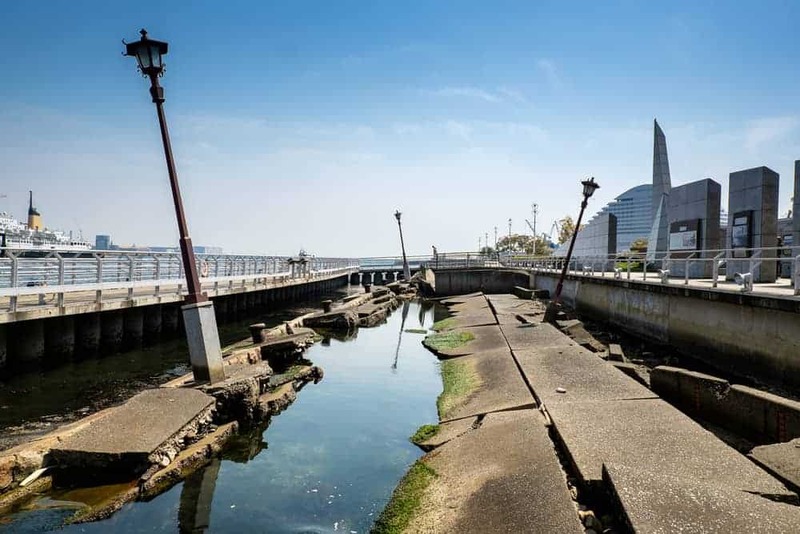 After the Port of Kobe was severely damaged, the bit that became the Kobe Earthquake Memorial Park was preserved to show how bad the damage was. The Kobe earthquake memorial park shows some of the primary effects of the Kobe earthquake. The Kobe Earthquake Museum is closed on Mondays (and Tuesdays if Monday is a public holiday). It is easy to reach the Kobe Earthquake Museum by train. The exit is Iwaya Station on the Hanshin main line or Nada Station on the JR Line (handy if you are using a JR pass). Exit the station and go downhill towards the sea and turn right at the busy main street. I grew up in the USA after the Vietnam War ended but the chill from its shadow was long. Many Americans remembered this war with anger and bitterness for a variety of reasons – veterans who served felt their efforts were not appreciated and civilians who felt the USA should never have been in the war. Having left Vietnam in 1973, memories in the USA of the war seem to have faded somewhat in the intervening 45 years. Vietnam itself has bounced back as a desirable tourist destinations with almost 13 million tourists in 2017. Among the many touristy Vietnam destinations are Halong Bay, the Mekong Delta and beautiful beaches on the coast. I would suggest that you add these 5 Vietnam War sites to your itinerary in order to understand Vietnam’s relatively recent bloody past. Among the many Vietnam destinations related to the Vietnam War, here is our pick of the 5 war sites In Vietnam not to miss, including the Vinh Moc Tunnels, the Saigon War Remnants Museum and the Hanoi Prison Museum. Why Visit War Sites in Vietnam? With so many beautiful and historical sites in Vietnam, why would you visit war sites in Vietnam? For example, this small country has 7 UNESCO world heritage sites with many dating back centuries. Focussing on the ugly historical sites in Vietnam relating to war sites in Vietnam from the 1970’s just seems so depressing. Yes, it’s a depressing era. I don’t think though we should pick and choose which elements of history we remember. Nearly 60,000 Americans died during the war and another 75,000 Americans were left disabled. The average age of an American casualty was merely 23 years old. Nearly 70% of the current population of Vietnam was born after the Vietnam War ended. The loss of men during the war means there are still significantly more women than men in the country. About 2 million Vietnamese people became refugees from their country after the end of the war. Our first nanny when the twins were babies was such a Vietnamese refugee. Her parents were killed during the war and she sold cigarettes on the streets of Hanoi in its aftermath. She and her sister fled on a boat, was rescued by a ship at sea and then processed as refugees. She was accepted for entry by the United Kingdom and her sister was sent to the USA. They never saw each other again. She was excellent as a baby nurse and spoke wistfully about the fact that she never had her own children. And, she was just a few years older than me. 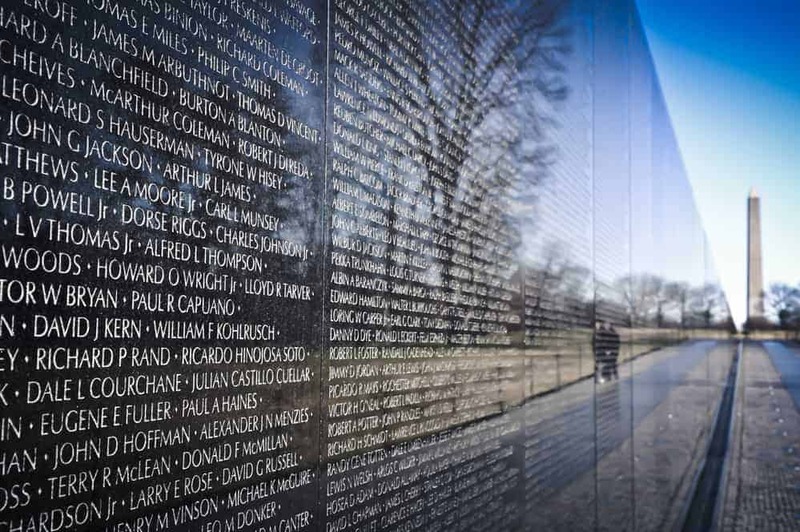 All of these people affected by the Vietnam War deserve to be remembered and the Vietnam War should be a cautionary tale on the devastating impact on young lives when old men rattle their sabres. These 5 war sites in Vietnam show different aspects of the Vietnam War. 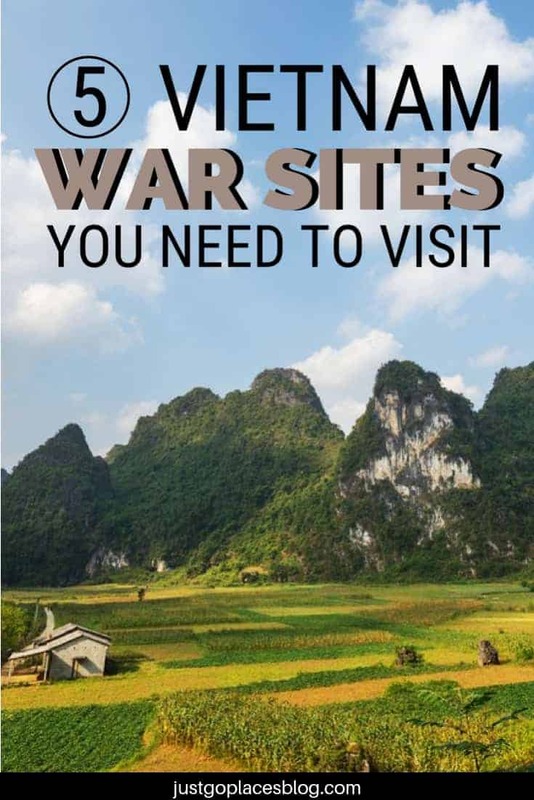 Obviously there are more Vietnam tourist sites to visit but this will give you an overview of the war as waged in the country. The Son My Memorial is a sculpture of a defiant elderly woman meant to represent the unyielding will of the Vietnamese. The Son My Memorial commemorates one of the worst atrocities of the war which made it one of the most famous war sites in Vietnam. An American unit massacred almost 500 civilians in the village of My Lai in March of 1968. Although the village was supposed to be hiding Viet Cong soldiers, only children, women and old men were killed. The photos of this massacre was instrumental in shifting public opinion on the Vietnam War in the USA. The Hoa Lo Prison in Hanoi was built by the French in 1896 during their colonial rule. Hoa Lo means “furnace” in Vietnmese which no doubt would be an apt description of the hellish conditions at the prison. During the Vietnam War, it became nicknamed the “Hanoi Hilton” by its American prisoners of war. Under the Vietnamese, Hoa Lo Prison held mostly American air force pilots who were shot down over the jungles of Vietnam. One of most famous former POW’s held at the Hanoi Hilton Jail was Senator John McCain who ran for the presidency of the USA in 2008. The Hanoi Prison Museum shows the French treatment of Vietnamese prisoners when it was Hoa Lo Prison. Although most of the Hoa Lo Prison has been destroyed, a gate house remains and is now the Hoa Lo Prison Museum. The Vietnamese maintain that the American POW’s were not tortured at the Hanoi Hilton jail. The exhibits from the Hanoi Hilton jail era show the Americans being treated well and exhibits such as John McCain’s military uniform. The more grim exhibits from the Hanoi Prison Museum such as the prisoners being chained show the French-Vietnamese era. 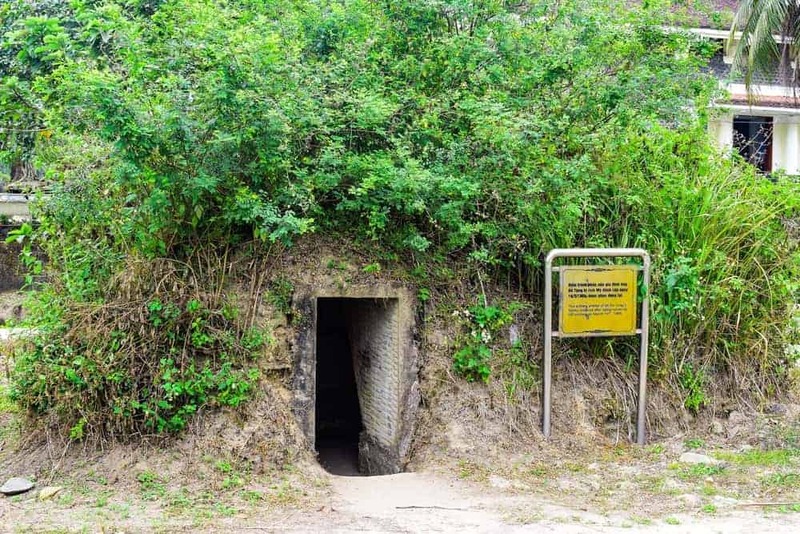 The Vinh Moc tunnels were used by civilian Vietnamese as bomb shelters. The village of Vinh Moc Vietnam had the bad luck of being on the border between the North and the South and faced heavy military action. So 60 families from Vinh Moc Vietnam moved underground carried on with ordinary life – eat, sleep and even have babies. Over the course of 6 years, tons of bombs were dropped on the villagers (by some estimates 500 bombs a day). Thanks to the Vinh Moc tunnels though, no one died. The Vinh Moc tunnels are an impressive testament to the human instinct to survive and to adapt! The Vinh Moc Tunnels are one of the cooler Vietnam destinations to visit but like the Cu Chi tunnels mentioned below, they are not for the claustrophobic. Like the Hoa Lo Prison Museum, the tunnels under Ho Chi Minh city started during the French colonial period. During the Vietnam War, the Viet Cong extended the tunnels to conduct guerrilla war against the Americans. 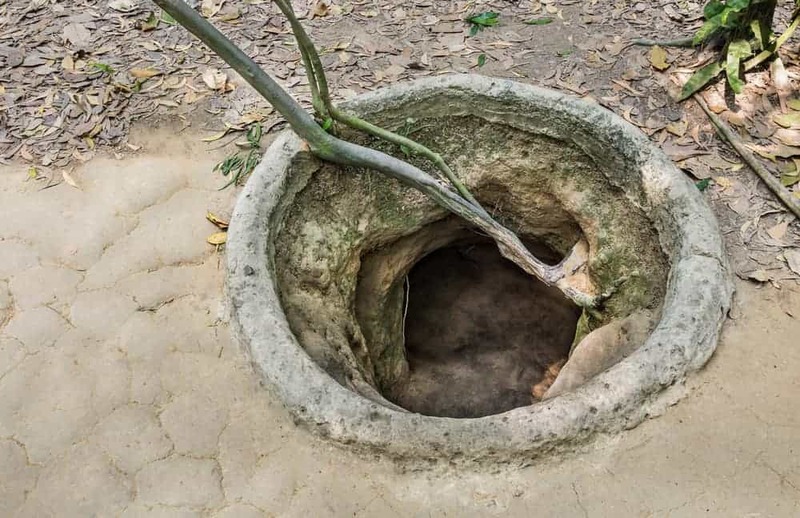 The Cu Chi tunnels are thousands of miles of tunnels which still exist today. The Viet Cong used the tunnels to hide as well as a base from which to conduct war. 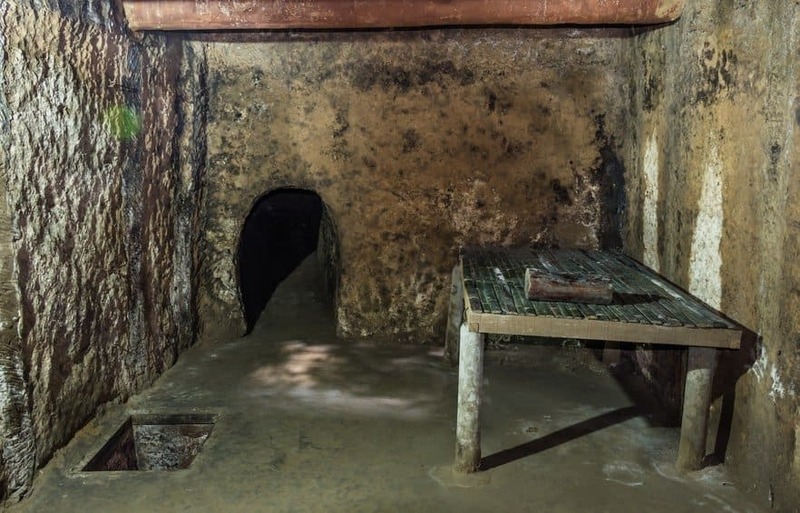 For example, the Cu Chi tunnels held hospitals and living quarters. The American troops knew about the tunnels but they just couldn’t eradicate them. Not only were the Cu Chi tunnels hundreds of miles long but also booby-trapped. These tunnels were instrumental in adding to the American troops’ frustrations, casualties and costs. The Vietnam War tunnels tour usually includes an optional extra where you can shoot firearms. Some parts of the tunnels have been widened to accommodate foreign tourists. Be forewarned about the tunnels – Vietnam tours may not tell you that they are seriously claustrophobic. The Saigon War Remnants Museum (now Ho Chi Minh City) is definitely Vietnam government propaganda. The name may have change from the American War Crimes Museum but that’s about as even-handed a treatment of the war as it gets! Remember, no American POW’s were mistreated at the Hanoi Hilton Jail and all atrocities were committed by Americans. As long as you have that mindset, the Saigon War Remnants Museum is a fascinating visit. So cough up your $1.75 War Remnants Museum entrance fee and see how the Vietnamese perceive their Western occupiers. This museum is useful though as a testament to the horrors of war, including exhibits of military equipment, unexploded bombs and photographs of victims affected by napalm. You have everything from a French colonial guillotine to American helicopters and a photo collection from war reporters from nearly a dozen countries. 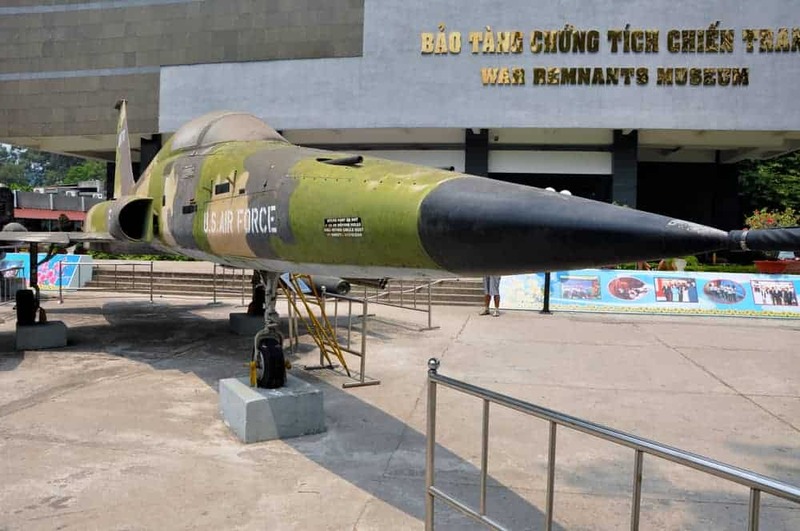 Whatever your opinion of the Vietnam War itself, you can’t walk away from the Saigon War Remnants Museum without thinking war itself is just a bad idea. Interested in learning more about Vietnam destinations which are Vietnam war sites? Check out these tour options! The African Burial Ground in New York City is a national monument operated by the National Park Service in Lower Manhattan. One of the most important black historical sites in New York, the African Burial Ground Museum is also one of the coolest little museums in downtown NYC. The exhibits at the African Burial Ground Monument show not only the African burial ground history itself but also how the Dutch imperialism of the Dutch West India Company contributed to slavery in New Amsterdam. Ultimately when New Amsterdam becomes New York, slavery in New York colony became crucial to the economy in colonial New York. 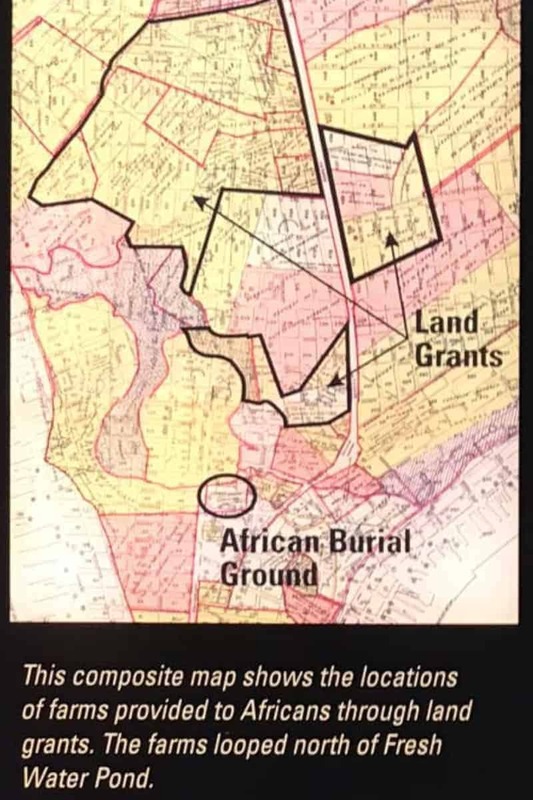 The African Burial Ground was an accidental discovery in 1991 when the federal government started excavating at 290 Broadway for a new Federal office builidng. When human remains were found many feet below the surface, the long-forgotten African Burial Ground history came to light. This African Burial Ground in New York City was a burial site for both free and enslaved slaves because slaves were not permitted to be buried in churchyards. .This plot of land in a ravine became a de facto burial ground. It was owned by a Dutchwoman who herself owned slaves. Her family sold the land in 1795 to developers to build houses. The ravine got filled with as much as 25 feet of landfill to level it off and make it suitable for housing. As a bonus, the bodies underneath the landfill were preserved. A new cemetery for blacks was opened further uptown in Manhattan. The existence of this unofficial African burial ground in New York was lost in the mists of time until the 20th century. It is an important archeological discovery and sheds light on the importance of both free and enslaved Africans in the early development and prosperity of New York City. The first known person of African descent in New York was Juan Rodrigues. Rodrigues was a Portuguese/African sailor from Santo Domingo who set up a trading post in New Amsterdam in 1613 for the valuable trade of beaver pelts. (New Amsterdam later became New York after the Dutch lost their colony to the British in 1664). In fact, Juan Rodrigues set up his trading post before the early Dutch settlers in New York arrived. The first known African slaves arrived as labor for the Dutch West India Company in 1625 shortly after a boatload of 30 Dutch families sponsored by the Dutch West India Company arrived to colonise the land in 1624. 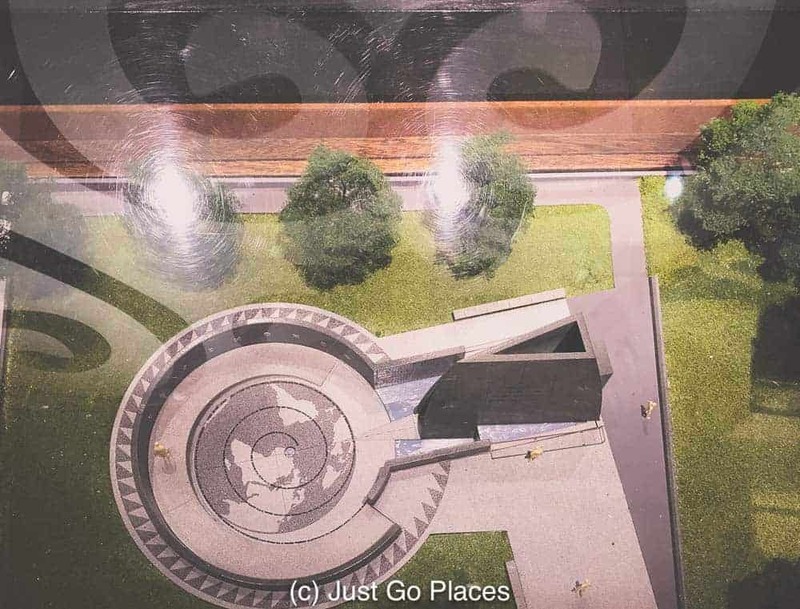 A diorama of the outdoor part of the African Burial Ground National Monument under the shadow of the sankofa symbol. Early Dutch settlers in New York needed enslaved Africans for the growth of their colony because there was a severe shortage of labor. For example enslaved Africans cleared a local Native American trail to create Broadway to allow passage of horse drawn wagons in 1658. This road connected New Amsterdam with Manhattan’s second Dutch village, New Haarlem. The African enslaved also built the wall at Wall St in 1653 under the orders of Governor Peter Stuyvesant to protect the colony of New Amsterdam. The wall stretched from the Hudson to East River. Under the British, this wall was also torn down by the African enslaved in 1699 to accommodate the growing colony. In 1711 there was a market on Wall Street to hire out enslaved men as day labourers. For example, in the early 1800’s enslaved labor worked for a $1 a day to build the city’s pipe system. The money went to the enslaved men’s owners. How’s this for a new slogan? Wall Street: Oppressing since 1653 & Profiting of the labor of others since 1711. The West India Company and Stuyvesant worked to promote the production of sugar cane which was a slave-intensive process. New York City became a major center for the North American slave trade. For example, from 1711-1762 the city’s official slave market was located on a pier at Wall Street and the East River. The official slave market known as the Meal Market had several unofficial competitors as well. Slaves were sold or rented on a daily or weekly basis at these markets. By the time New Amsterdam becomes New York, 15% of the population n NYC 1664 were Africans. Slavery in New Amsterdam was regulated by the Dutch West India Company. They could own property, be baptised and marry. Under the Dutch, enslaved Africans even had hope of getting freedom eventually. For example, slaves often oversaw the work of Dutch absentee farmers which gave them a certain amount of freedom. The Dutch settlers of New York in 1644 even gave conditional freedom to 11 slaves and gave them 100 acres of farmland in the part of Manhattan now between Canal Street and 34th street. These freed Africans still had to pay the West India Company in crops and livestock. Moreover, although the former slaves and their wives were freed, their children were kept as slaves. The freed slave parents were able to buy back their kids eventually. And, bonus! The farms of the former enslaved provided a buffer against any Native American attacks on New Amsterdam itself. In NYC 1664 was the year that these limited rights were stripped away when England took over the colony and New Amsterdam becomes New York. The English rescinded the tight of free blacks to own land in Manhattan. Africans made up about 20% of the colonial population by the mid 18th century. Did you know? Manhattan was second only to Charleston, South Carolina for its number of slaves. There was a supposed slave insurrection in 1741. Historians aren’t entirely sure what happened. The story is that poor whites and slaves joined forces to revolt and to kill all the white men. There were rewards offered for testimony which lead to mass hysteria. So many enslaved men were jailed there was no room in the jails to hold more. Eventually, 31 blacks and four whites were executed (conveniently near the African Burial Ground so you know where the blacks bodies went). During the American Revolution, the British occupied New York as George Washington and his forces fled south. The British were in charge of Manhattan from 1775-1783 and recruited African (and African Americans) to their side by promising them freedom. When the British left in 1783, they took their African soldiers with them. So slavery was integral to the economy in colonial New York. The enslaved not only worked in the farms, but also built the infrastructure of the city as the first municipal work force. Skilled enslaved labor worked as everything from butchers, bakers and candle stick makers (as the old nursery rhyme goes). And, it wasn’t just the men. Enslaved women worked in their owners’ homes doing domestic chores and taking care of their owner’s children. Enslaved children were made to work from the age of 5 or 6. Many enslaved children died in early childhood. 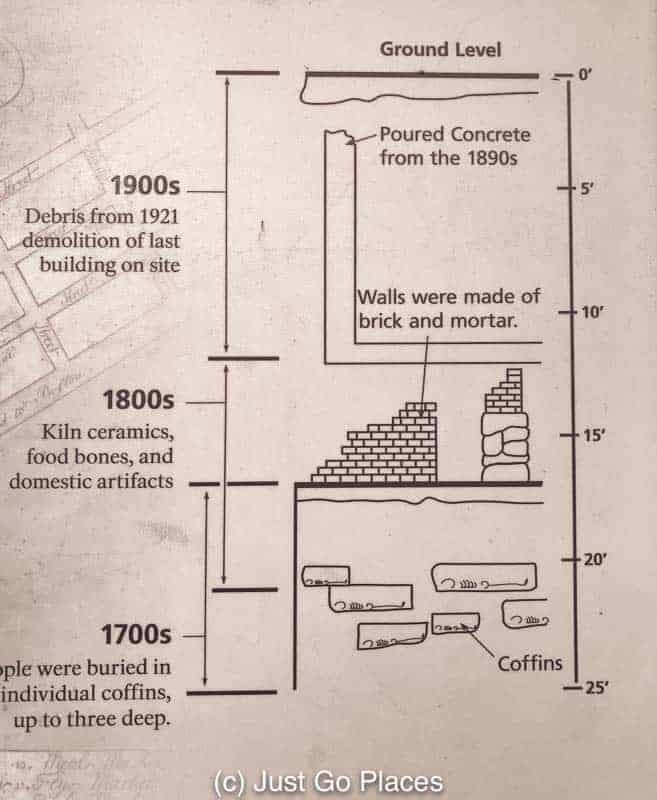 Nearly half the people buried at the African Burial Ground New York City were under the age of 16, with the majority of those under the age of 2. Unlike in the Southern states, slave owners in New York were not interested in breeding Africans. Infants, therefore, were a just a burden on their mothers times. Enslaved mothers were expected to carry out all their duties irrespective of whether they had just had a baby. When you consider how overworked and nutritionally deprived the mothers were, it is not surprising that so many babies died! The first New York Constitution created in 1777 ignores the issue of slavery and thereby allows it to continue. Eventually, New York passes a gradual emancipation act stating that children born after July 4, 1799 to enslaved women were no longer born into slavery. Slavery was abolished in New York in 1827 in its totality. After slavery was abolished, Africans in New York still faced discrimination and injustice. The African Burial Ground eventually got so crowded the coffins were piled 4 deep in the site! It covered approximately 6 acres and held the remains of an estimated of 15-20,000 people dating from 1630s to 1795. Despite the huge number of people buried at the African Burial Ground, these burials were not a mass grave. Most of the deceased had coffins and some were in clusters indicating families buried together. Only about 10 percent of the burials happened without coffins and it’s surmised these burials happened during and after the American Revolution. There were strict rules on what was allowed at African burials. For example, no more than 12 mourners were permitted at a procession or at the graveside. A 1722 rule bans burials at night. Over 40% of the people buried at the African Burial Ground were children under the age of two. Research on the human remains found at the New York African Burial Ground showed how short and brutal the lives of the enslaved were. The bodies showed the effects of a limited diet and back breaking manual labor. There is an outdoor memorial at the African Burial Ground Monument which is in three parts – The Circle of the Diaspora, the Ancestral Libation Chamber, and the Ancestral Reinterment Ground. The Circle of the Diaspora is an homage to the many areas and cultures in Africa from where the enslaved originated before they were dispersed to captivity in the New World. The slave trade occurred in many parts of Africa including what is now Sierra Leone, Ghana, Nigeria, Mozambique and Madagascar. In fact, slave owners preferred women and children straight from Africa because they were thought to be more easily controlled. 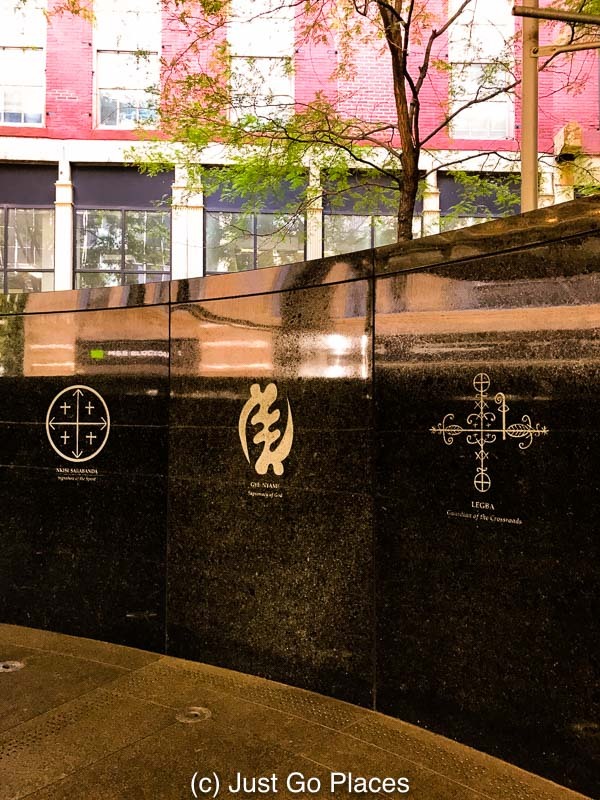 African Burial Ground symbols are engraved on the on the perimeter wall of the circle such as the sankofa (a heart shaped symbol which appears throughout the African Burial Ground Monument. Fun Fact! The sankofa is a West African symbol used to mean that you should learn from the past to prepare for the future. African Burial Ground symbols carved on the perimeter wall from the areas in Africa where the enslaved originated. 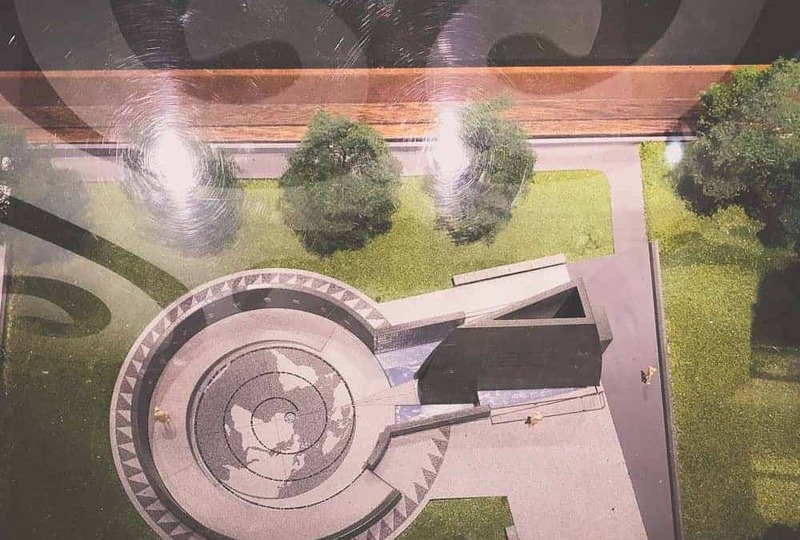 The Ancestral Libation Chamber is made from green African granite and shaped like a ship’s hold reminiscent of the slave ships that brought the enslaved to the New World. The most popular of the African Burial Ground symbols, the sankofa, is engraved the outside. The chamber is 24 feet high and represents the soaring African spirit of the deceased. There were 419 bodies removed from the African Burial Ground NYC before the excavation of the site was stopped in 1992 by mass protests at the disturbance of sacred ground. . In 2003, the human remains found at the NY African Burial Ground were reburied in hand-carved Mahogany coffins made in Ghana and lined in Kente cloth. In the intervening years, the archoeological trove was studied by researchers at Howard University in Washington D.C.. The coffins were placed in 7 crypts under 7 burial mounds and guarded by 7 trees. The African Burial Ground Museum is small but informative (perfect for an introduction to this period in history for children!). 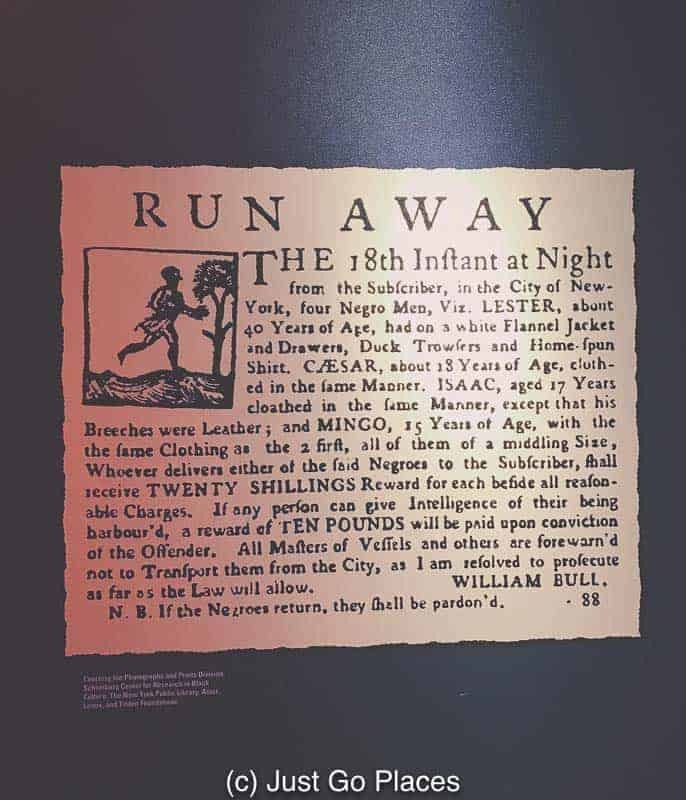 For example, there is a copy of the certificate granting conditional freedom in 1644 by the Dutch West India Company to Pieter San Tome, one of the earliest slaves brought to New Amsterdam. Pieter San Tome was one of the 11 formerly enslaved who were given buffer farms for themselves north of New Amsterdam. The short, clear exhibits outlines the progression of slavery in New Amsterdam and slavery in the New York Colony. It also discusses the African American experience after slavery abolished in New York, including its place in the Underground Railroad which helped the enslaved in the Southern USA flee for freedom. The Visitor center has a terrific bookstore on the experience of slavery in the United States as well as the ongoing struggle for Civil Rights for all Americans. There are free tours of the African Burial Ground Monument but it’s just as easy to visit independently. 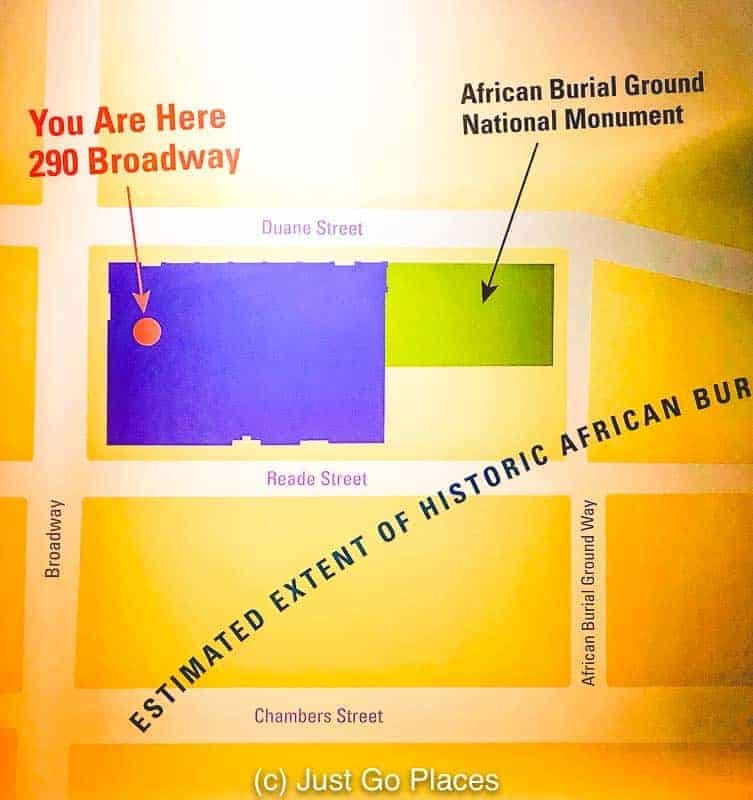 Admission is free to the NYC African Burial Ground. 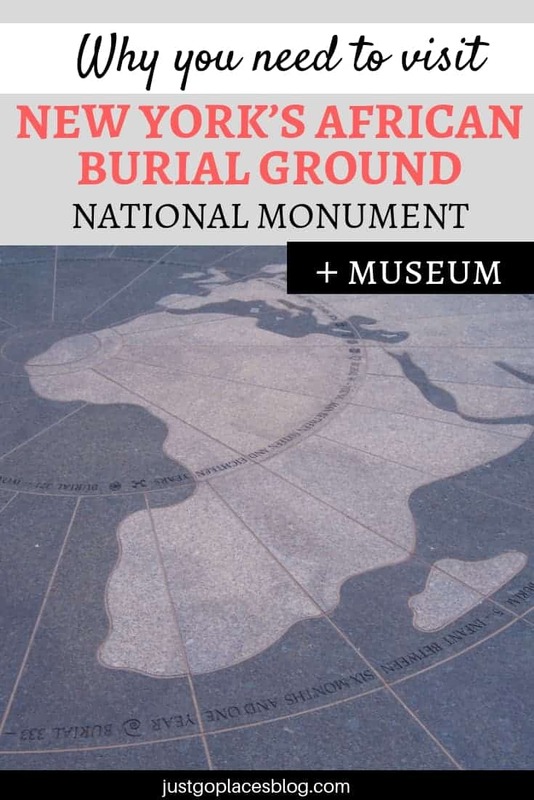 There are two parts to the African Burial Ground National Monument – the outdoor memorial to African Burial Ground Manhattan and an indoor African Burial Ground Museum. Remember! 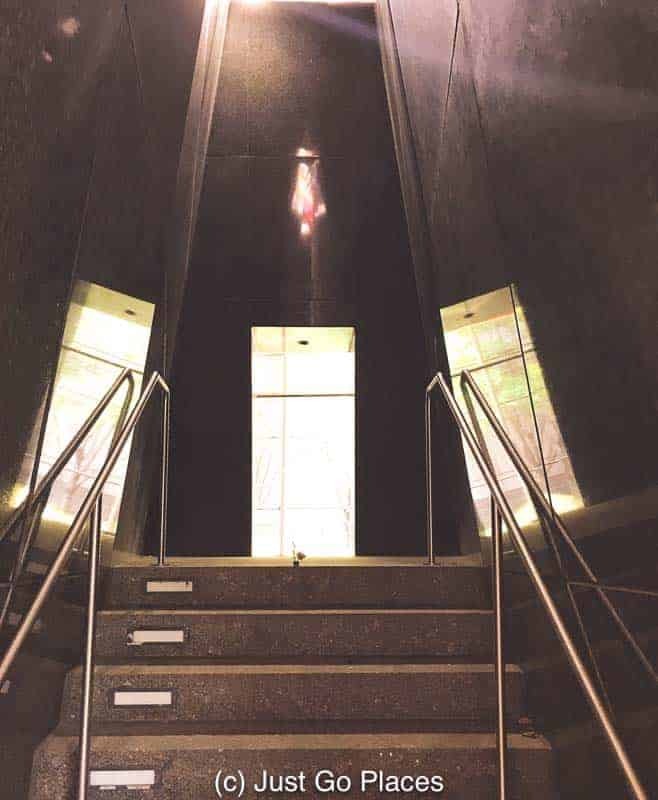 The inside tour of the African Burial Ground Monument is in a federal building and so you will need to pass through security checks to enter. The African Burial Ground museum and visitor center is around the corner from the New York African Burial Ground. The visitor center is open Tuesday through Saturday from 10-4. The African Burial Ground museum is closed for Thanksgiving Day and Christmas Day. Interested in learning more About the African-American experience in New York City? Check out these tour options! both free and enslaved slaves, and visiting will move you. 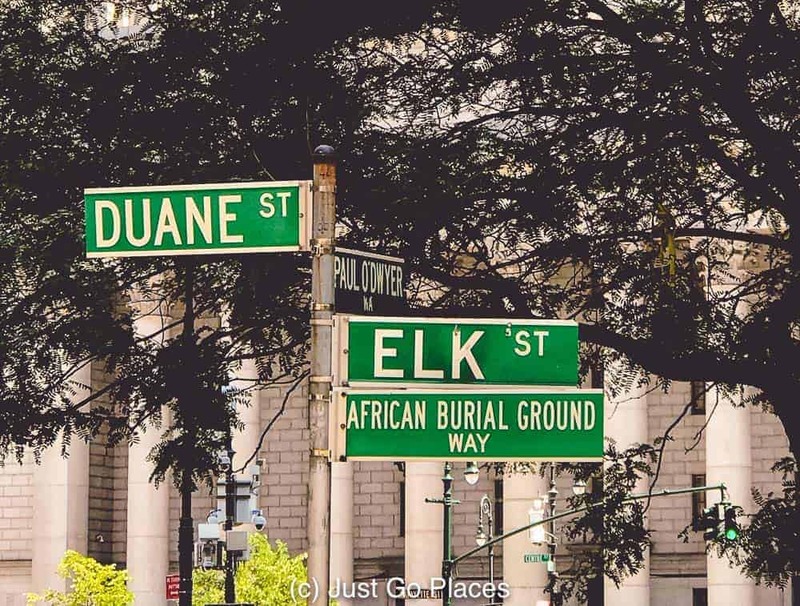 Check out why you need to visit the African Burial Ground, NYC. When you think of the area of Borough in London nowadays, usually Borough Market springs to mind. Borough Market is an upscale food and drink market near London Bridge that has been in existence one way or another for the last 1000 years. 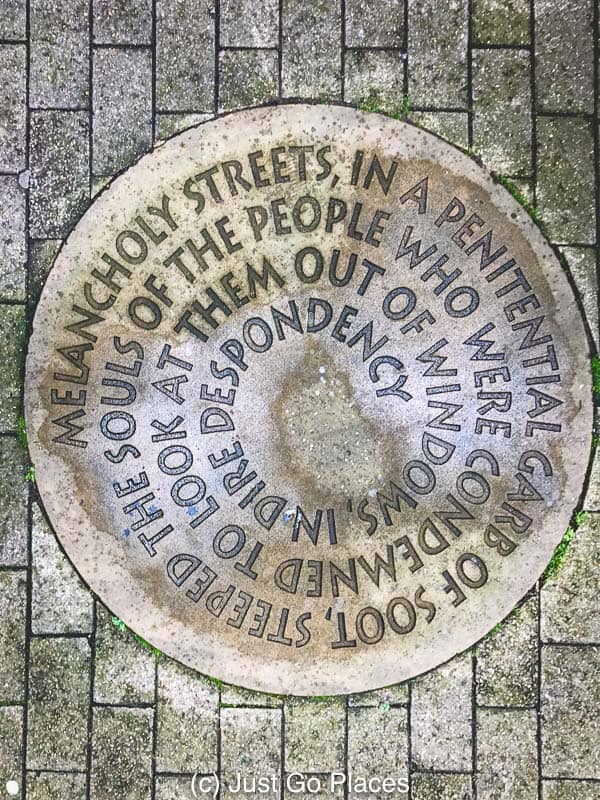 In previous centuries, this area was definitely less pleasant and more dangerous… and home to Marshalsea Prison where a young Charles Dickens experienced poverty in Victorian England firsthand. While Charles Dickens family was imprisoned for debt, he was forced to work in a factory along with other poor Victorian children and live in a neighbourhood that would exemplify Dickensian poverty. Wealthy British philanthropist Charles Booth refused to believe that poverty in Victorian England was so bad that nearly a 1/4 of the population lived in poverty. He commissioned his own team of researchers in 1886 and their report was published in 1903, a 17 volume page-turner The Life and Labor of the People in London. 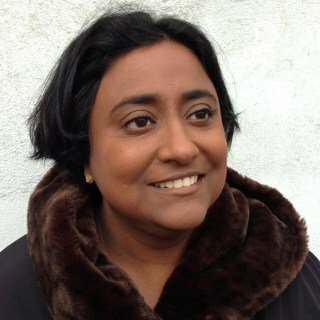 What did the report say about Victorian poverty in London? It was even worse than thought. Nearly 30% of the population (1.8 million) was living in poverty. Another 1 million were teetering on the edge of poverty – it would take as little as a debt being called in such as what happened to Charles Dickens family – to topple them into full-blown poverty. Over half of the poor lived south of the river between Blackfriars Bridge and London Bridge (see map below) in the area of Borough in Dickensian poverty. A plaque indicating where the Victorian London Bridge which is currently located in Arizona would have stood. In the 18th century, over half the people who were in jail were there because they couldn’t pay off their debts. And, every year, another 10,000 people would be thrown in debtor’s prisons in the Victorian Era. If you were a merchant or trader then you could declare bankruptcy. If you were just running up personal debt, there was no way out of the situation short of (i) paying up, (ii) going to prison or (iii) fleeing to Europe. 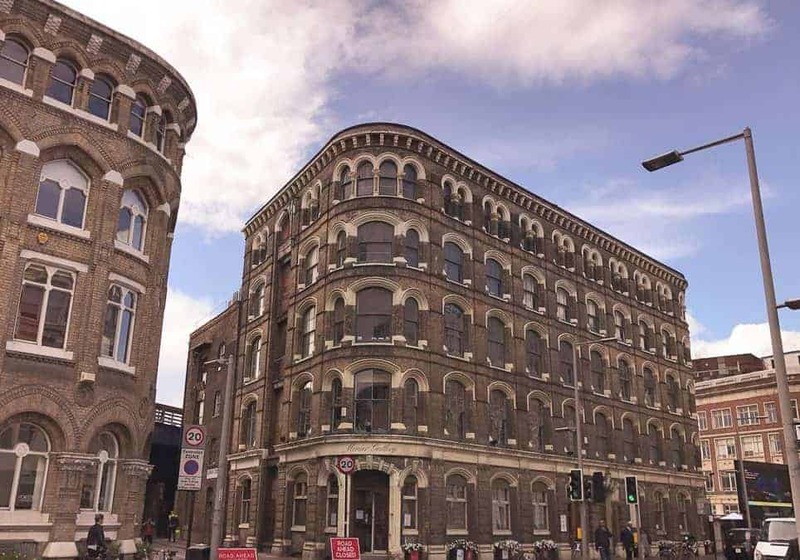 Factories and workhouses provided work for the poor such as this Menier chocolate factory which is now a trendy residence. Since the Middle Ages in England, you could be thrown in prison for owing money. For example, there are records in the nearby criminal prison, The Clink, for a man being jailed for owing £15 to a blacksmith in the 16th century. So any small amount could land you in jail – it wasn’t until 1827 that the law required your small debt had to be at least £20. By the way, the Clink is the same prison that held anyone Cromwell didn’t like during the English Civil War and Puritans who went onto become the Pilgrim Fathers at Plymouth. So, a real mix of the poor, the bad and the devout (but not aristocratic enough to warrant the Tower of London). By the time of Dickens, you began to separate the criminal from the merely poor. You had 4 debtor’s prisons in London – Whitegate Street, Fleet Street, King’s Bench and Marshalsea. There was a pecking order among the prisons and Marshalsea Prison considered middling. Despite what Charles Dickens may have thought, it could have been worse!! Debtor’s prisons were for-profit enterprises that were used to house people who couldn’t pay their debts. While in prison, they were charged for their time in jail! If they could pay prison fees, they could be sent to work and a part of their wages used to pay off their debt. If imprisoned debtors couldn’t pay their prison fees, the fees just accumulated and got added to the original debt. It was a vicious cycle for the poorest of the poor. People actually starved to death in debtor’s prisons because they couldn’t pay for food. Needless to say, living and working conditions in these prisons were harsh and corruption was rife. For example, jailers could chain up their prisoners and then remove their chains for payment. One of the wardens of Marshalsea Prison was actually put on trial for the murder of prisoners. You know the brutality was bad, i the abuse actually rose to the level fo making it to the courts. And, life went on as normal in many ways. Entire families were imprisoned together. People could carry on their trades in prison such as laundry services or sewing. People could also beg or get alms from visitors. Some European countries had laws that debtors could only be jailed for up to a year but in Britain, debtors were jailed until their creditors were happy. When they closed Fleet Prison in 1842, they found two prisoners who had been there for 30 years. Fun Fact! Britain did not outlaw imprisonment for debt (except for cases involving fraud) until 1869. 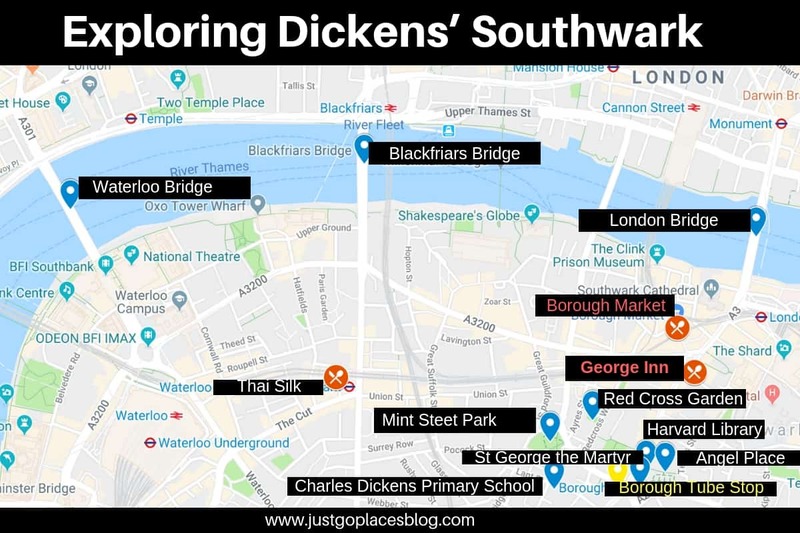 Dickens mentions debtor’s prisons in several books – Mr Pickwick got sent off to Fleet Prison, David Copperfield is at the King’s Bench and Marshalsea Prison appears throughout Little Dorrit. Debtors prisons in Victorian England were set up to maintain hierarchy similar to the society at large. 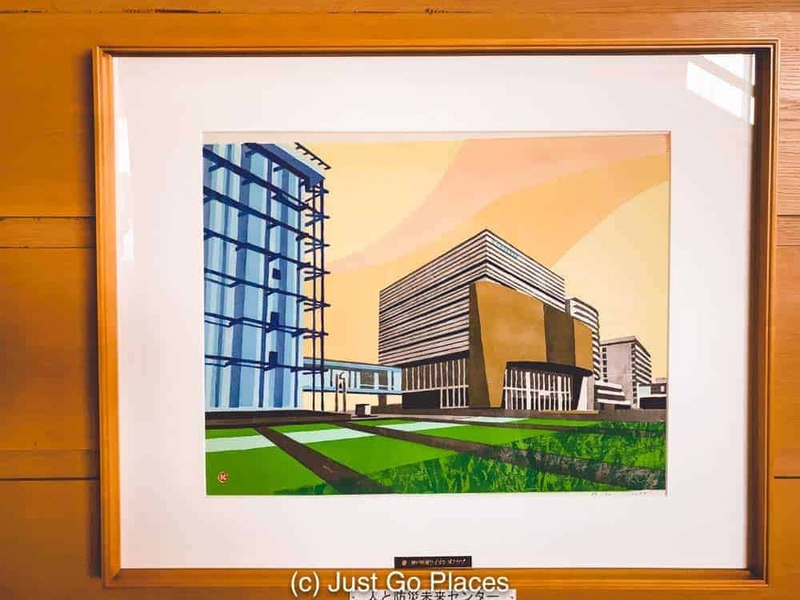 For example, at Whitecross Prison, there was a separate barebones facility for common prisoners and better accommodation for citizens of the city of London. The Kings Bench prison even let you live outside the prison walls with a prescribed area if you were of a higher class. Did you know? Emma, Lady Hamilton was reduced to poverty and subject to the Kings Bench prison. She was the mistress of Napoleonic war hero, Admiral Nelson, who died at the Battle of Trafalgar. She was left impoverished when the British government ignored Nelson’s request that she be provided for as if she were his widow. Lady Hamilton didn’t actually stay at the Kings Bench but was able to live nearby. Then she fled to France and continued to rack up debts. So not only were there class divisions in debtors prisons, Victorian England also had different standards if you were upper class and profligate. Your family would just send you abroad to avoid the social embarrassment. A popular alternative was Boulogne in Northern France where nearly a quarter of the town were debt-ridden English people. 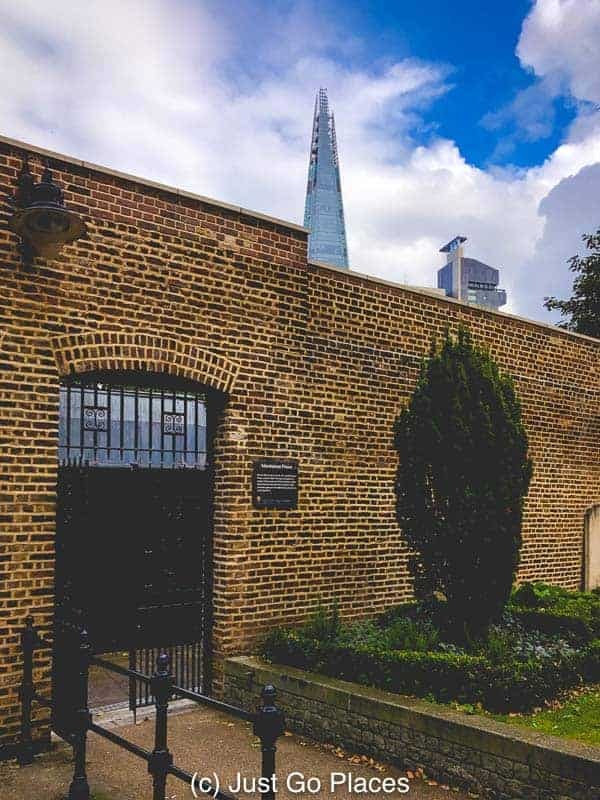 Opened in 1373, Marshalsea was a notorious prison south of the Thames River in Southwark. Only the ruins remain because Marshalsea was closed in 1842 and its prisoners divided between Bethlem Hospital (the infamous Bedlam) if they were mentally ill and other prisons. The church of St. George the Martyr next door was used as the burial ground for debtors who died while at Marshalsea. Charles Dickens’ father was imprisoned at Marshalsea Debtor’s Prison in 1824 when Charles was 12 years old. Charles’ father, John Dickens, owed a baker a little over £40. Plaque on Bayham Street in Camden, London locating the site on which Charles Dickens once lived prior to being shown the underbelly of Victorian life south of the River in Southwark. This traumatic event made a huge impression on the young boy who was sent to lodgings nearby and forced to work at a factory full-time to pay for his upkeep. His mother and sisters joined his father at Marshalsea Prison. Luckily for Dickens, his father was released after 3 months when he came into an inheritance. Charles Dickens himself was put in a boarding house on Lant Street which is now where the Charles Dickens Primary School is located. He worked at Warren’s Blacking Factory near Waterloo Bridge where he worked putting labels on shoe polish bottles. Fun Fact! Dickens met a Bob Fagin at his factory whose name was immortalised as the crime boss Fagin in his novel Oliver Twist. During his lifetime, Charles Dickens family never mentioned the Marshalsea period. His first hand experience with Victorian poverty was only revealed to the public in a biography after he died. At Marshalsea Prison, Charles Dickens family experienced the misery of Victorian poverty. Dickens’ novel Little Dorritt is about a girl who is born and grows up in Marshalsea Prison. Her father is in jail and the family joins him. In fact, all three of the family’s children are raised in Marshalsea because the father is in Marshalsea for so long. Ironically the father could have gotten himself out of jail, but he’s gotten used to a certain lifestyle and respect at Marshalsea that he doesn’t want to trade for his (or his family’s) freedom. For Charles Dickens poverty was an important theme in his novels and of which he had first hand experience. Charles Dickens’ childhood was marred by the time his father and the rest of his family was thrown in Marshalsea prison. In fact, the written descriptions of poverty in Victorian England were so vivid that the phrase Dickensian poverty immediately brings up images of hardship, crime and degradation a 100+ years later. 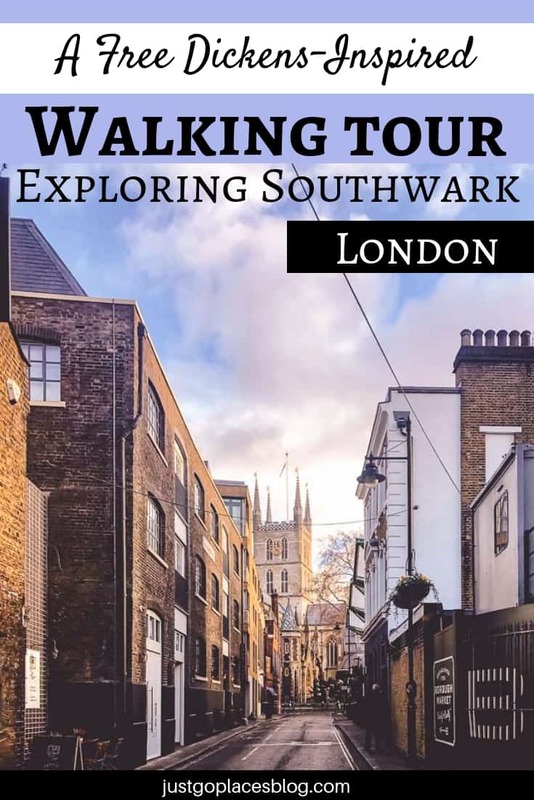 Despite having transformed into a trendy area, this DIY walking tour of some of the places in Southwark will give you a flavour for the world described in his books. We did this Charles Dickens walking tour with children so I have mentioned both outdoor spaces and places where you can stop of for a snack/break. The places are relatively close together and the walking is easy. You can easily do this walk in a couple of hours if you are not dawdling like we were. The surviving remains of Marshalsea Prison exist on Angel Place in Southwark (Borough tube stop on the Northern Line). The other prisons are also long gone and replaced with newer buildings including the nearby Kings Bench Jail on Borough High Street. Luckily, the association with Dickens and Little Dorrit has allowed for the location of the Marshalsea prison to remain as a homage to Dickensian poverty. Travel Tip! 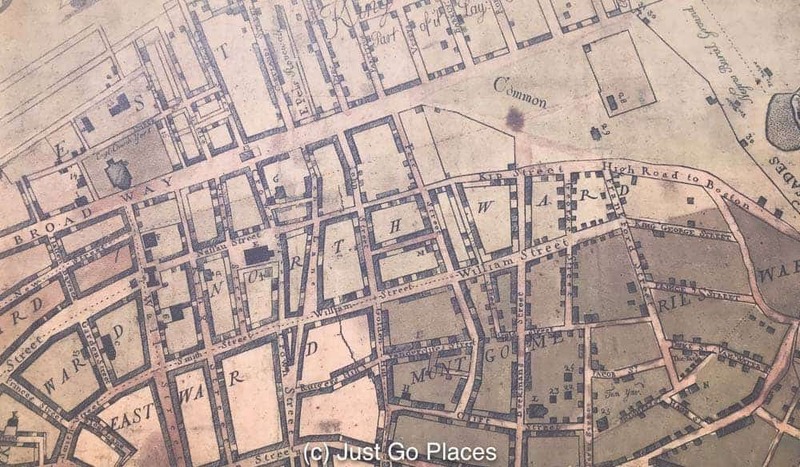 The easiest way to find Angel Place alley, all that remains of Marshalsea Prison, is to look for it sandwiched next to the John Harvard Library! (Yes, THAT John Harvard of Harvard University fame who came from Southwark because his family owned an inn nearby). The Church of St. George The Martyr is where the character of Little Dorrit was both baptised and married. The church has a stained glass window depiction of Little Dorrit. The church of St. George the Martyr which is featured in Little Dorrit. 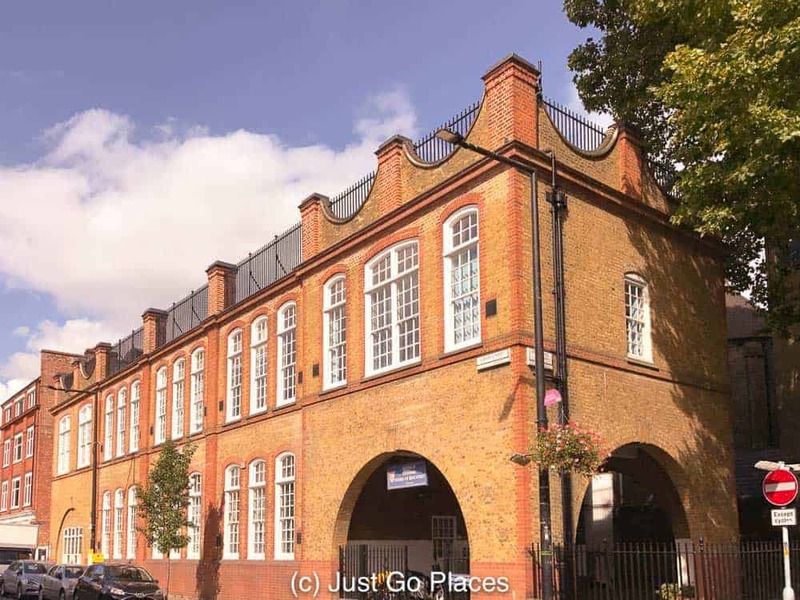 The Charles Dickens Primary School is over the site of the boarding house on Lant Street where 12 year old Charles Dickens would have stayed while his family was at Marshalsea Prison. He got taken out of school, separated from his family and sent to do factory work all in a short space of time. 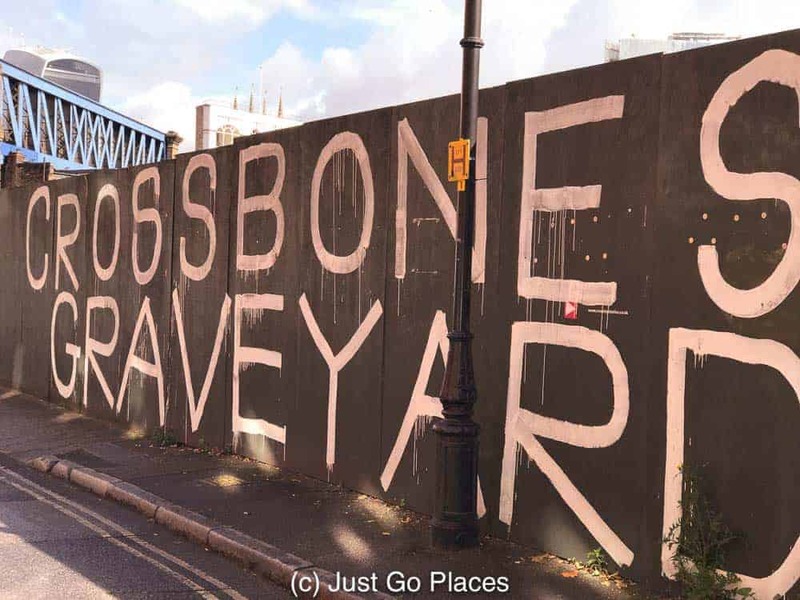 The Crossbones Graveyard is located on Redcross Way (at the corner of Union Street ) and is the burial ground for people deemed undesirable by the Medieval church- the prostitutes and poor who lived in the neighbourhood. For hundreds of years, some 15,000 people were buried in this graveyard until it was closed in 1853. It’s not like these people got dignity in death either – the graveyard was a popular spot for body snatchers who would sell the bodies for medical research at St. Thomas Hospital nearby. For hundreds of years, Crossbones Graveyard has been the final resting place for London’s prostituted and paupers. Across from the Crossbones Graveyard is a former Victorian Ragged School (now a city council building). Ragged schools provided free education to poor Victorian children consisting of reading, writing, counting and Bible studies. Dickens was not particularly impressed with the schools because he thought they were too heavy on the relgion. A visit to London’s Field Lane Ragged School inspired Charles Dickens to write A Christmas Carol. This former Ragged School had its outdoor space on the rooftop. Victorian social reformers believed in fresh air (not necessarily clean air and/or health and safety in parks). 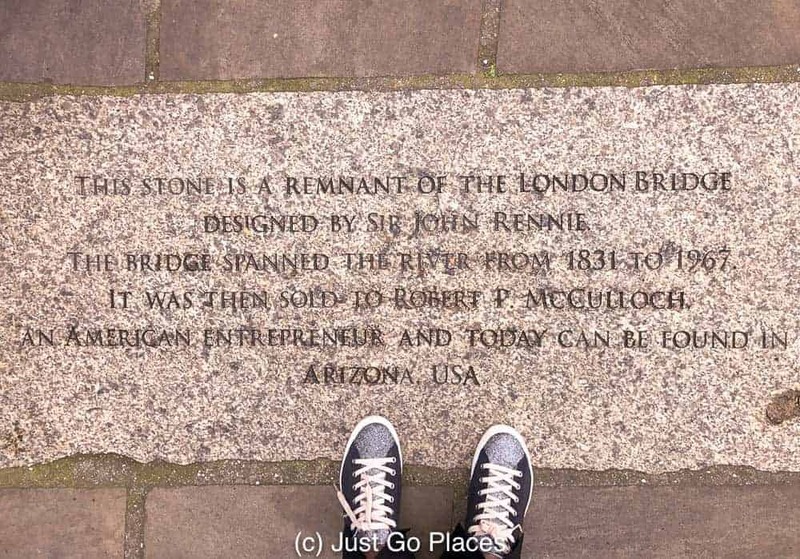 Nancy’s Steps are all that remains of the 1831 London Bridge. This older London Bridge was sold in 1967 to an American and currently spanning Lake Havasu in Arizona. The newer version of London Bridge you see today would not be the one that Dickens wrote about. The steps are on the corner of London Bridge and Duke Street Hill and leads you into Borough Market. 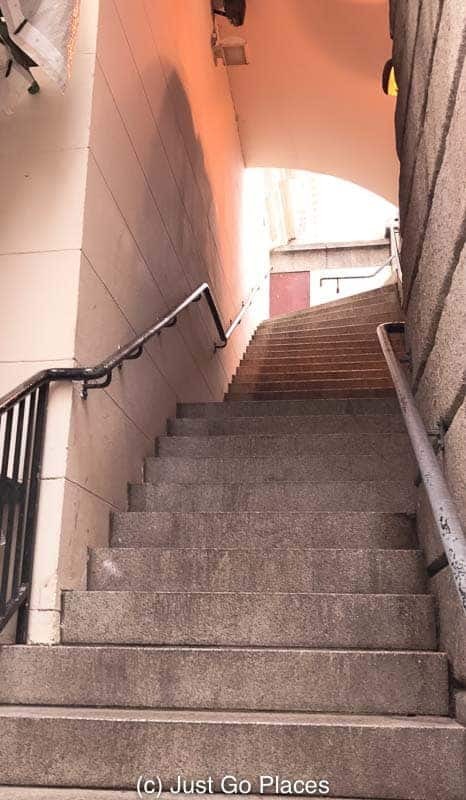 In Oliver Twist, on these steps Fagin’s henchman overhears Nancy plotting against the gang’s interest (a betrayal that does not end well for poor old Nancy). You can surmise that Nancy would have ended up in the Crossbones Graveyard. 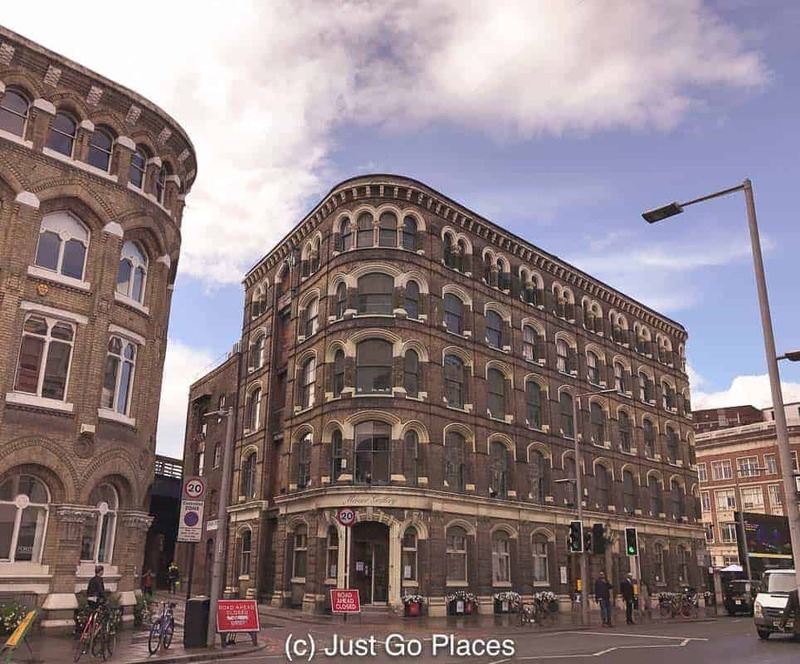 Mint Street Park is the location of the former Mint Street Workhouse which Charles Dickens would have passed every day on his way to work in the shoe polish factory off Waterloo Bridge. It is believed that Charles Dickens modelled the workhouse in Oliver Twist on the Mint Street Workhouse. The Mint Street Workhouse was still in use until 1921 but today all that remains is a bit of a wall. Across from Angel Place, the Little Dorrit Park is a former Victorian slum that was razed to create a children’s play ground and named after the Charles Dickens’ character. The Red Cross Garden is an oasis in an otherwise bleak urban landscape. 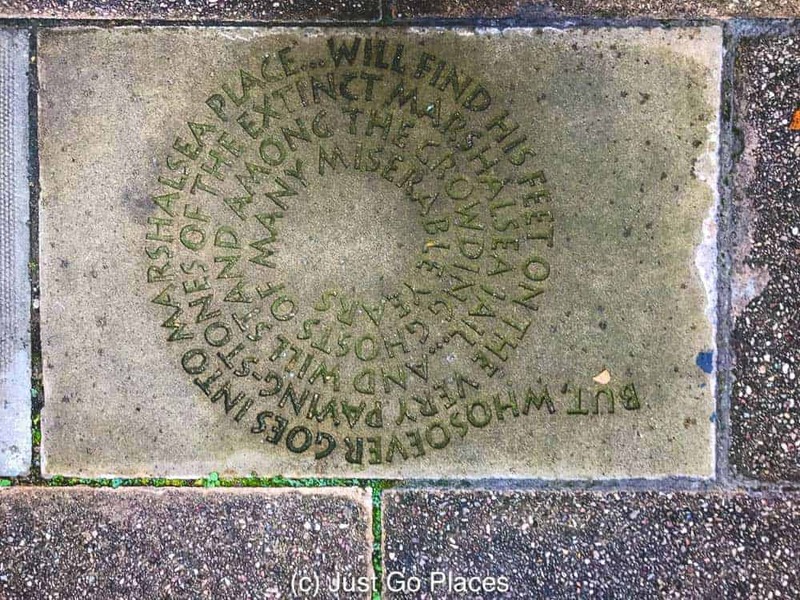 Set up in 1887 on the site of a former paper factory, it is overlooked by houses that were set up by Victorian social reformer, Octavia Hill. She was a big believer in having access to the outdoors for urban dwellers. Did you know? Octavia Hill was also responsible for keeping our personally beloved Hampstead Heath from becoming a residential development and also one of the three founders of the National Trust. The George Inn is located at 77 Borough High Street. A National Trust property in London, the George Inn was built in 1677 and the only remaining inn in London with a galleried porch front. Charles Dickens frequented the George Inn and it is mentioned in Little Dorrit. Borough Market is a foodies delight. If you want to keep in line with the Dickens theme though for a quick lunch, the Little Dorrit Cafe on Park Street just outside Borough Market is reputed to have the best bacon butty (sandwich) in London. 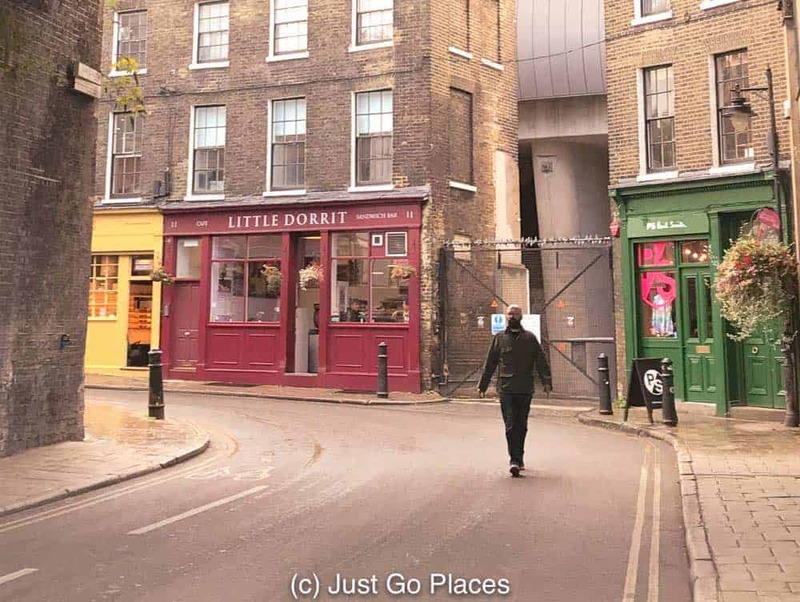 The Little Dorrit Cafe has great bacon sandwiches if you want to stop for a bite on your Charles Dickens walking tour. If you are heading towards Waterloo Bridge, check out Thai Silk which is one of my favourite authentic Thai places in London. It’s got a lovely outdoor space for nice summer days too. Prefer to have your Charles Dickens walking tour with a guide who knows where to go and explain it all? Check out these options! Reread the books before you do a tour! 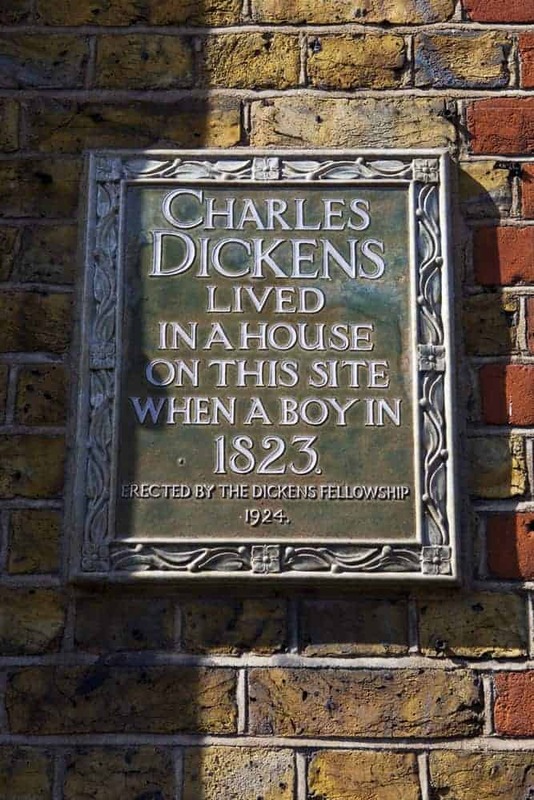 See for yourself on this free and easy Dickens walking tour places from Charles Dickens childhood that inspired his interest in poor Victorian children. Prison and what it has to do with Charles Dickens. 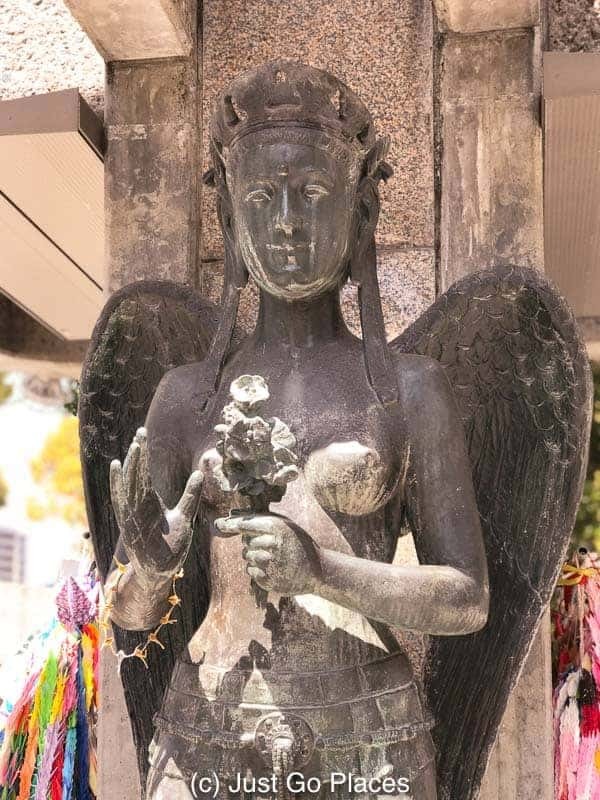 The city of Hiroshima in Japan has the sad honour of playing testament to the horrors of a modern warfare. Unlike Bayeux in France which was spared devastation during World War II by the tactical thinking of the British Allied forces, a large chunk of Hiroshima was explicitly flattened by the American military to bring Japan to its knees. The Hiroshima Memorial Park commemorates the area where the atomic bomb was dropped during World War II. 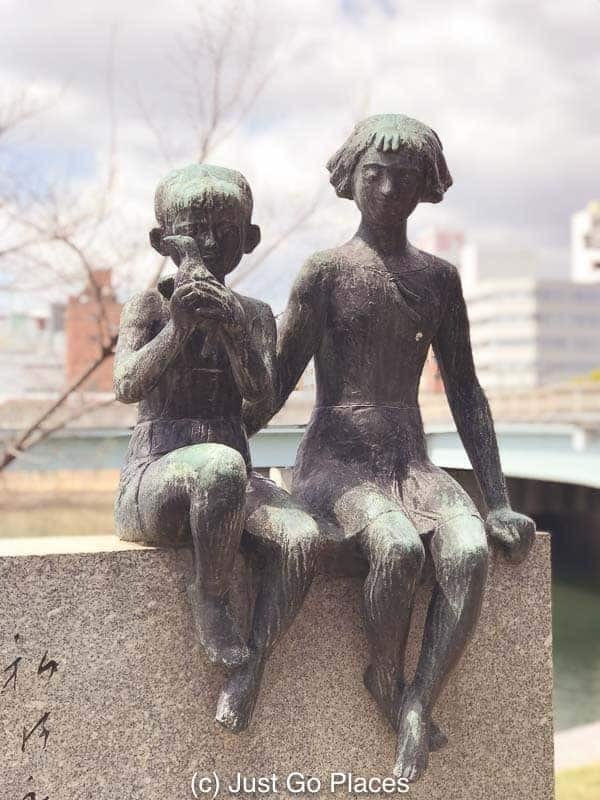 Any Hiroshima walking tour of the park brings home the fact that thousands of children died on the site – a fact hammered home by the evocative Children’s Peace Monument. The area that covers the Peace Memorial Park was a densely populated area prior to the A bomb. In fact, the busiest area in downtown Hiroshima, the neighborhoods had over 1700 households and almost 6000 residents. The city of Hiroshima itself had about 350,000 residents, including Korean and Chinese nationals and a couple dozen American prisoners of war held at the nearby military jail. In addition to the residents, there were thousands of others who were unfortunate enough to be in the area when the atomic bomb was dropped at 8:15 AM on August 6, 1945. These were citizen volunteers and junior high school students who were demolishing buildings. A clock marking the time the atomic bomb was dropped on Hiroshima – 8:15 AM. These mobilised students were creating a fire wall with the expectation of future bombings on the city. The Americans had helpfully told the Japanese that bombs would be coming without actually pointing out that it wouldn’t be the usual type of bombs. The demolished buildings would be a bulwark against the ensuing fires future bombs would cause. A panoramic view of the density of housing in Hiroshima pre-Atomic bomb. It’s hard to know how many people died in that atomic blast because the city’s records were also decimated. It’s estimated that 140,000 people died between the bomb exploding in August 1945 and the end of the year. Even the Hiroshima aftermath has been lost in the ashes that make up the Hiroshima park. Fun Fact! The oleander is the official flower of Hiroshima because it was the first plant to bloom again after the A-Bomb was dropped. Three days after the Hiroshima sites were bombed, the Japanese city of Nagasaki was also targeted. Japan announced its surrender on August 15, 1945. The Hiroshima Bomb, nicknamed Little Boy, was created with 141 lbs of Uranium of which the critical damage was caused by only 0.7g of Uranium. The Little Boy nickname came from the movie, The Maltese Falcon. You hear about “Hiroshima Shadows” – the ashes of people and objects permanently burned into the ground because of the intensity of the Atomic bomb blast. American propaganda at first claimed there was no radioactive poisoning after the Hiroshima bomb was dropped. This claim even appeared in mainstream publications like the New York Times. As much as 25% of the people who died in the Hiroshima aftermath could have been of Korean descent. As many as 3 million Koreans were living in Japan during World War 2 to help ease the acute labor shortage. The records are murky because many of the Koreans were undocumented prisoners of war and/or sent back to Korea after World War II. The monster Godzilla was spawned as a result of the Hiroshima bombing and was a metaphor for nuclear war. Did you know? Lucky Kyoto had a narrow escape because it was on the original list of cities to bomb but an American cabinet member insisted Kyoto be spared because he had spent his honeymoon there. 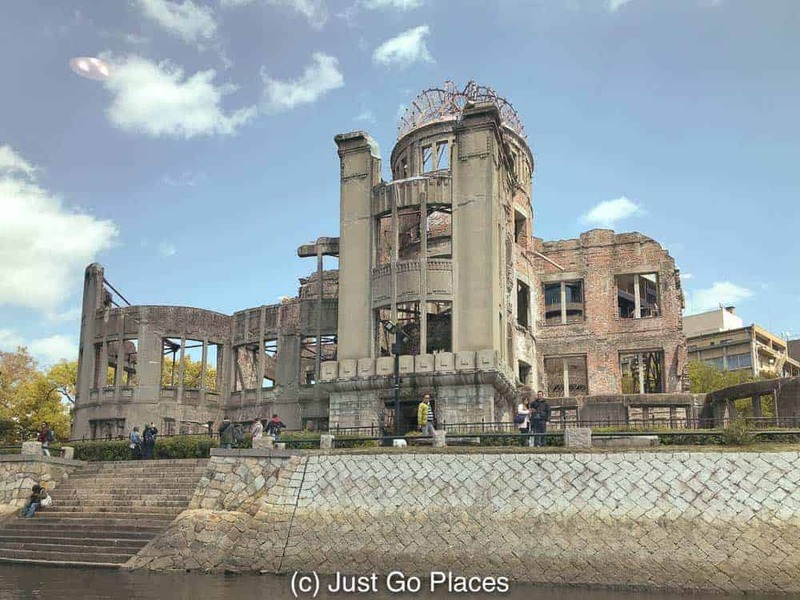 The Hiroshima Memorial Park contains monuments such as the Children’s Peace Monument and museums such as the Hiroshima Peace Center Memorial Hall. The Hiroshima Dome is all that exists of an exhibition center that was located on the site – similar to the Javits Center in New York City or Olympia in London. It was given UNESCO world heritage listed status in 1996. The Hiroshima Dome was pretty much the epicentre of the atomic bomb but somehow parts of the structure managed to survive. The Hiroshima Peace Memorial museum has exhibits on the atomic bomb and the Hiroshima aftermath. 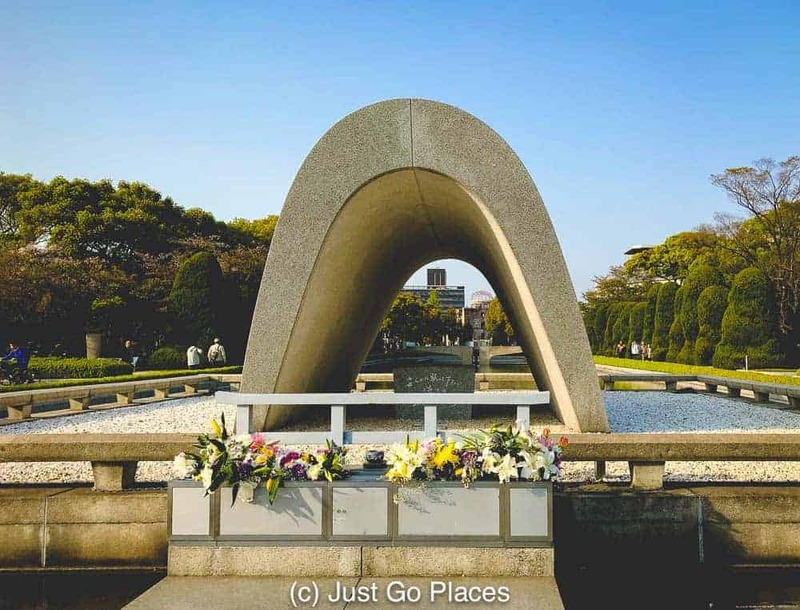 The Hiroshima Arch located nearby frames both the Hiroshima Dome and flame of peace Hiroshima – a before and after if you will. The Hiroshima Arch is supposed to provide shelter for the souls of the perished. 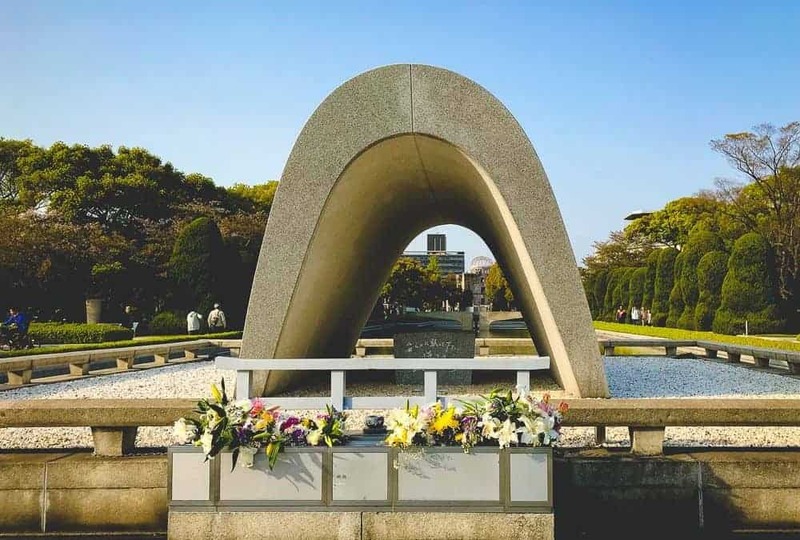 The shape of the Hiroshima Arch is supposed to provide a shelter for the repose of the souls of the victims. In continuous operation since 1964, the flame of peace Hiroshima will only be extinguished when the threat of nuclear war is eradicated. The flame of peace Hiroshima will run continuously until the threat of nuclear war is gone forever. 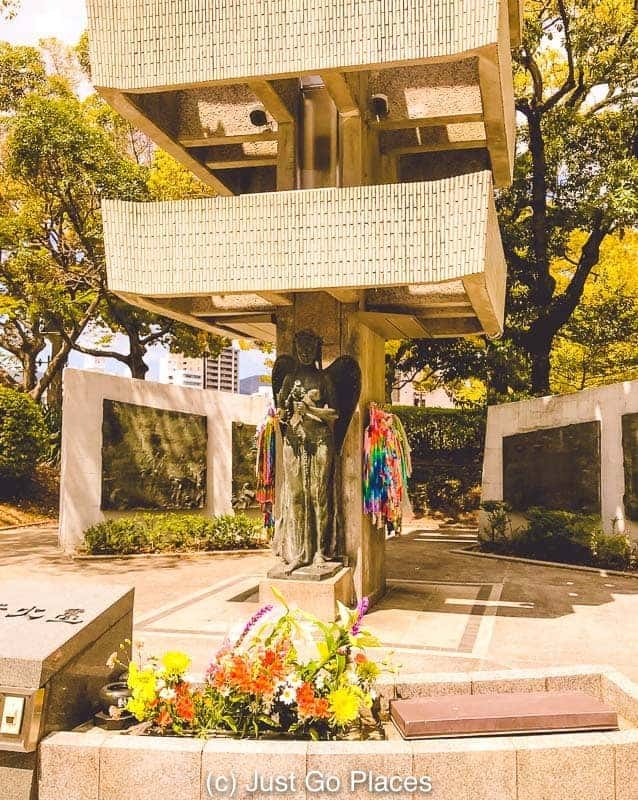 The Sadako Sasaki peace monument is the more well known of the children’s monuments because of its colorful cranes. 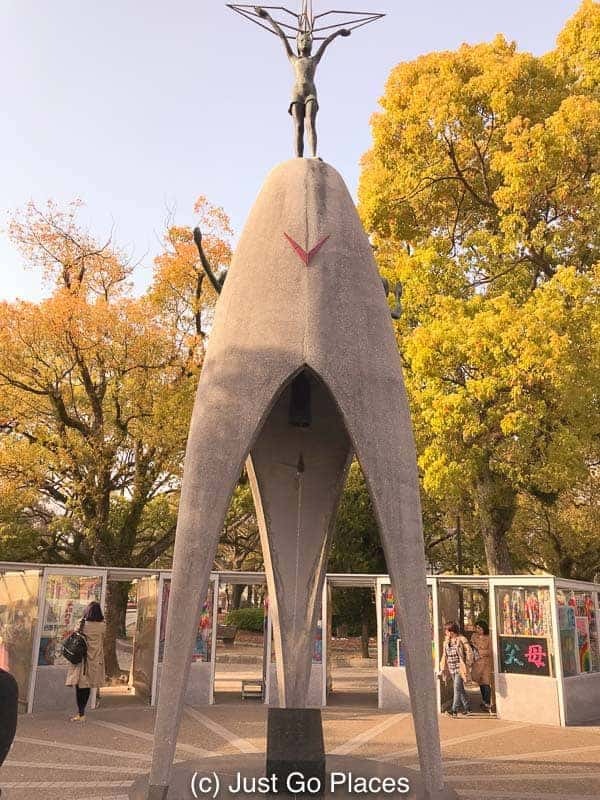 The Children’s Peace Monument commemorates the life of Sadako Sasaki who died of leukaemia after being subjected to radiation poisoning at the age of 2 when the atomic bomb hit Hiroshima. The children’s peace monument with Sadako Sasaki statue on top. She wished to create a 1000 paper cranes which in Japanese folklore meant she would have one wish granted. She passed away after having folded 644 cranes. 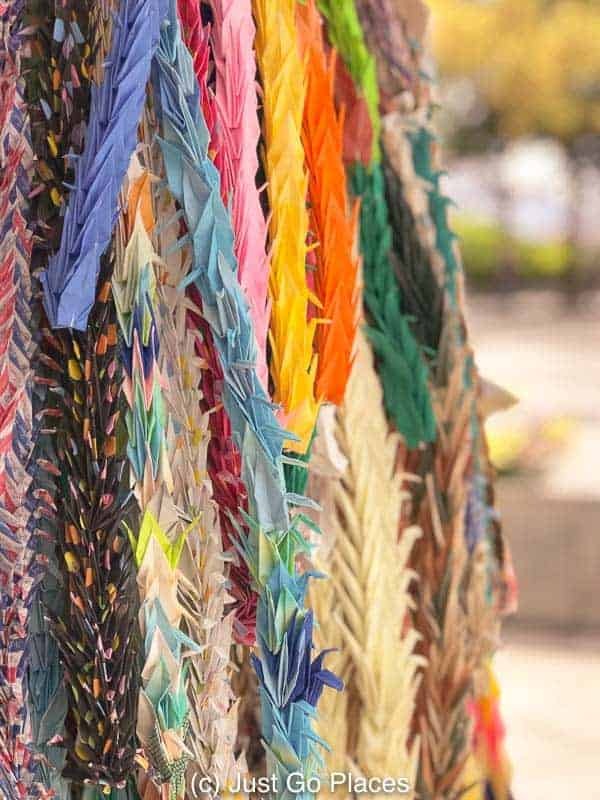 People the world over have brought paper cranes to honour Sadako Sasaki’s wish. There is a bell under the Sadako Sasaki statue which you can ring. The Memorial for the Mobilised Students is another children’s monument is dedicated to the school children drafted into military works who lost their lives in the blast. Children from the age of junior high school were forced into helping the military such as working in factories or demolishing buildings. Of the approximately 8,000 children who were forcibly mobilised in Hiroshima, about 75% of them died in the Hiroshima aftermath. The memorial for the 6000+ mobilised junior high school students who perished. 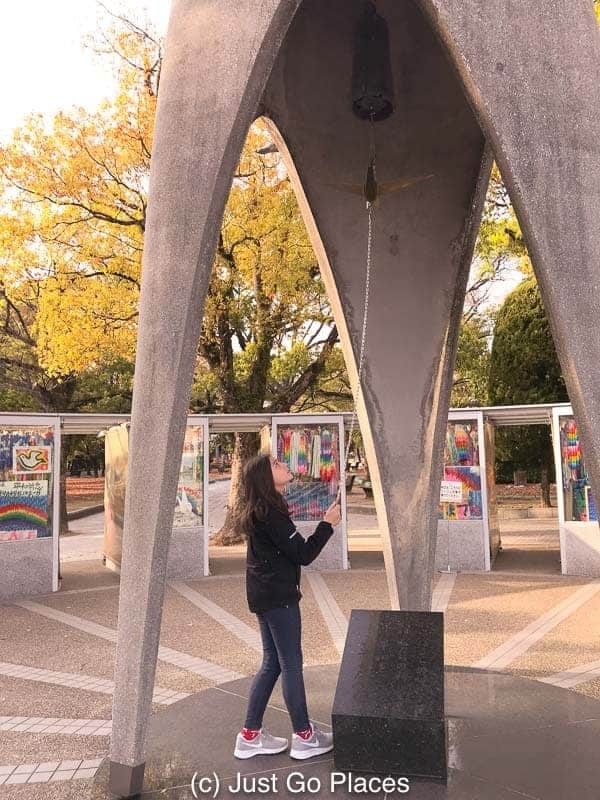 The most famous Hiroshima Peace Bell is near the Hiroshima children’s peace monument. There are other versions of a Hiroshima Peace Bell scattered throughout the Hiroshima Park. Approximately 8200 students from local junior high schools were mobilised to create fire breaks by demolishing buildings. Approximately 6000 of these students died in the atomic bomb blast. The Hiroshima Memorial Hall has a short documentary paying tribute to some of these students by family members left behind. For example, one boy talks of running to the blast area to find his 12 year old brother and finding only his brother’s bento (lunch) box still filled with the warm rice that their mother had packed. There was nothing left of his brother. That bento box was taken to their family altar at home in memory of their lost family member. 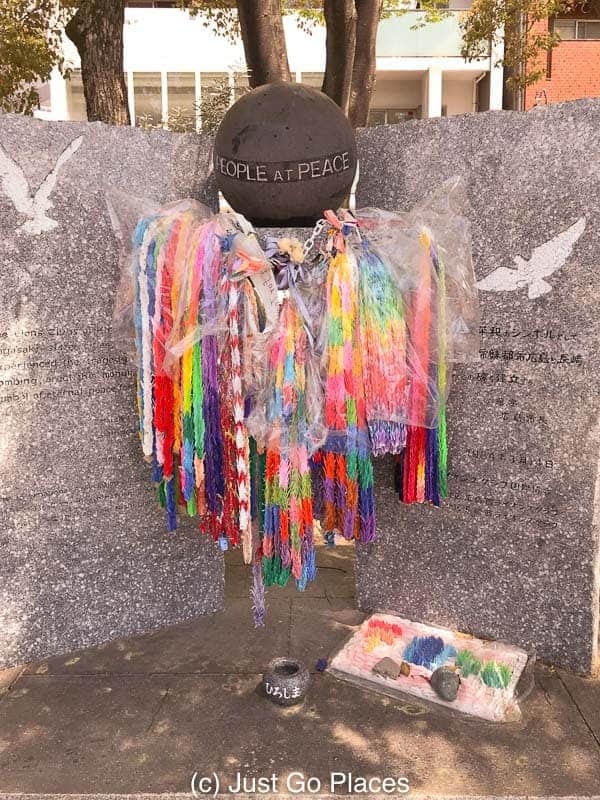 The memorial for the students who forced into military labor draped with paper cranes of hope. Many of the parents of these junior high school students could not find their children’s bodies. The young bodies were incinerated in the heat which ranged from 3000-4000 degrees Centigrade. One of the parents spoke of how proud she had been of her son when he had gotten into his first choice junior high school. Weeks into his new school year which had just started, her 12 year old son vanished into thin air – never to be seen again, but never forgotten. Hiroshima for kids is a walk in the park. Literally. 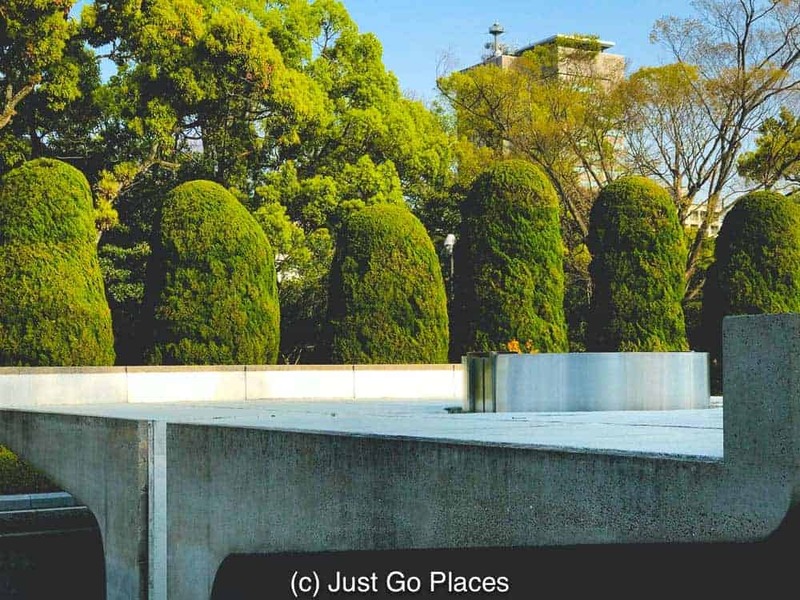 The Hiroshima Peace Park is beautifully landscaped around the scarred remains of a tragedy. Figuratively, however the monuments and remains of the Hiroshima sites in Hiroshima Memorial Park are a heavy tragedy to understand. 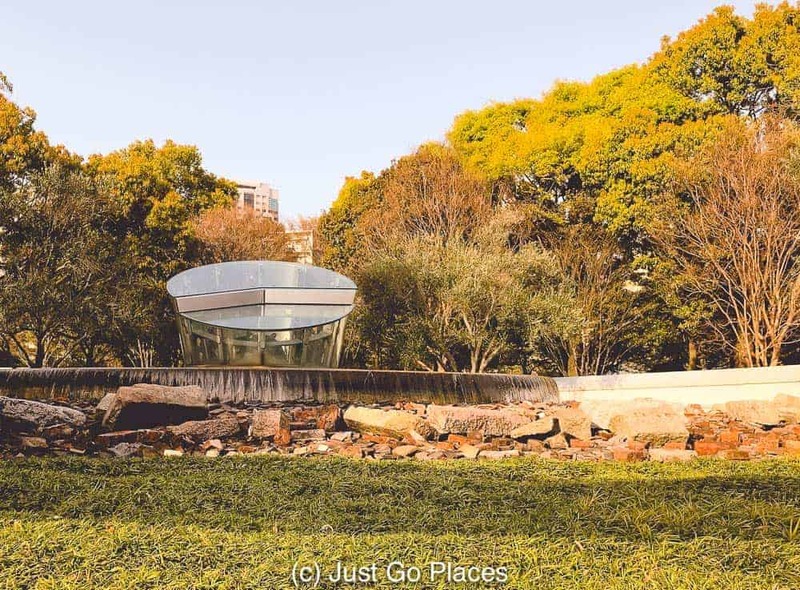 Similar to the 9/11 Memorial Museum, Hiroshima Memorial Park is a tragedy of unimaginable scale which needs to be carefully explained so that it is understood. I remember my kids not understanding why Anne Frank had to hide in an Amsterdam attic. A statue in honour of Miekichi Suzuki who was born in Hiroshima and is considered the father of children’s literature in Japan. A bit like the 9/11 Memorial Garden, a Hiroshima walking tour meant we could gauge how upset our children were getting and plan accordingly. Actually, having all that life-affirming nature at the Hiroshima park surrounding us helped. Fun Fact! The US National Arboretum in Washington D.C. has a bonsai tree that was gifted to the US by the Japanese in 1976 for the bicentennial celebrations. This tree has been around since 1625 and is a survivor of the Hiroshima bombing! I visited Hiroshima nearly 20 years ago well before I had kids. This time visiting the Hiroshima Peace Park with kids I was struck by the human toll of young lives. The stories of those innocent children’s lives lost and grieving families really hit home. 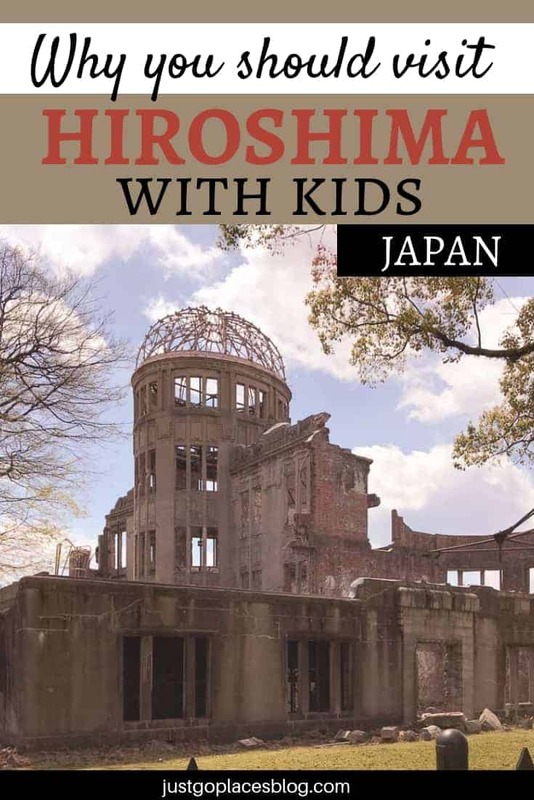 Is Hiroshima for kids? Yes, i believe it is. Protecting future generations from the horrors of the past neither erases what has happened nor honors the memories of those who have suffered. 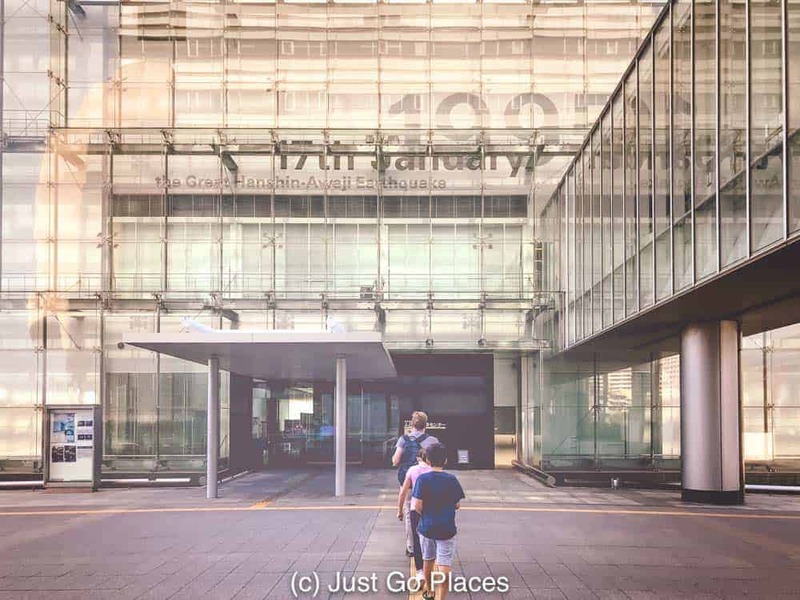 Getting to Hiroshima is relatively easy. The bullet train from Osaka to Hiroshima takes anywhere from 2.5 to 3 hours. Getting around Hiroshima is straight-forward as well. There is a loop bus service that will take you from Hiroshima train station to the Hiroshima Memorial Park. The distance from the train station to Hiroshima Memorial Park is about 3 kilometres. Prefer to Have a Tour Guide? Check out these options.